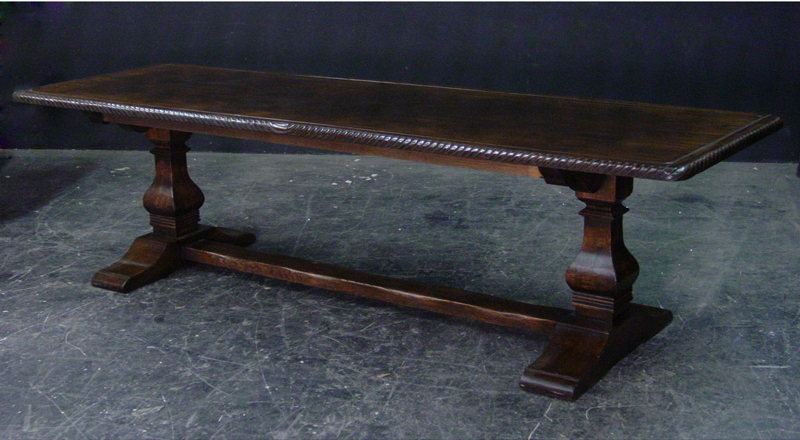 Rustic oak finish carved cannon ball leg potboard base coffee table. 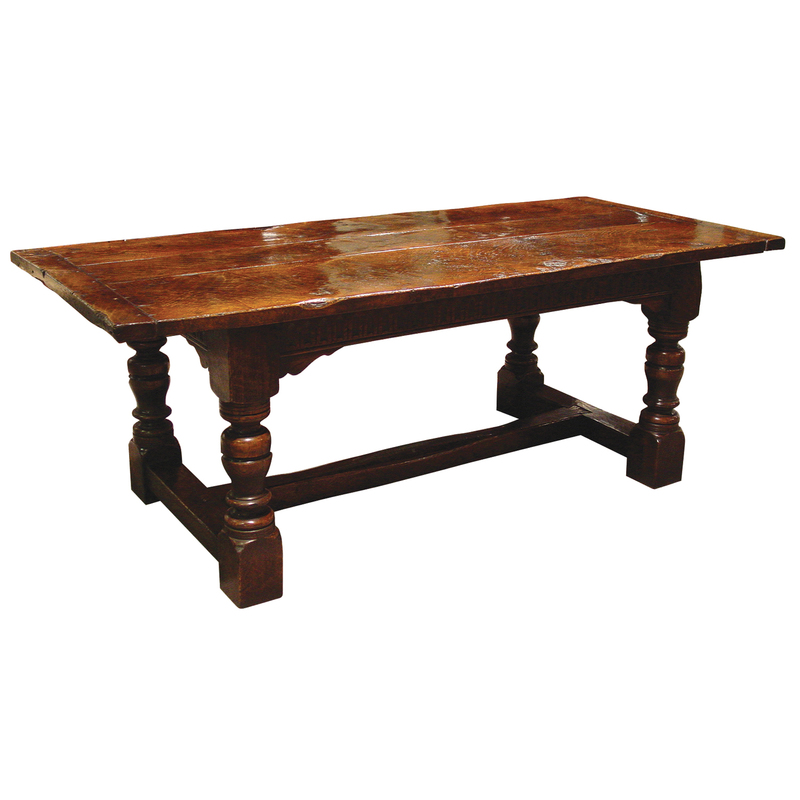 This coffee table is hand-made in England by skilled craftsman and is a true work of art. The beautiful patina makes the piece a feature in any room. The item is one of a kind but can be repeated, there will always be slight variations making each piece unique. 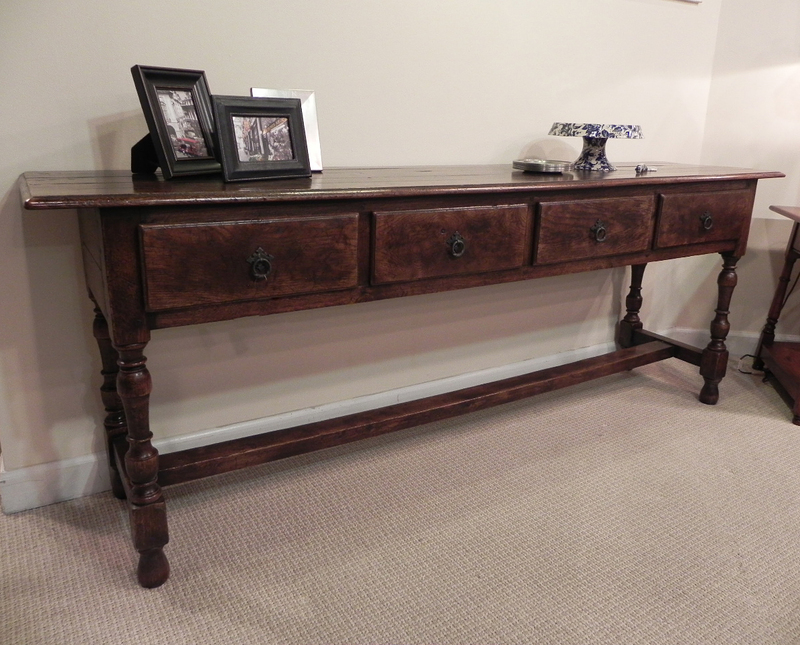 Rustic oak finish dresser & rack with 3 drawers and turned column supports. 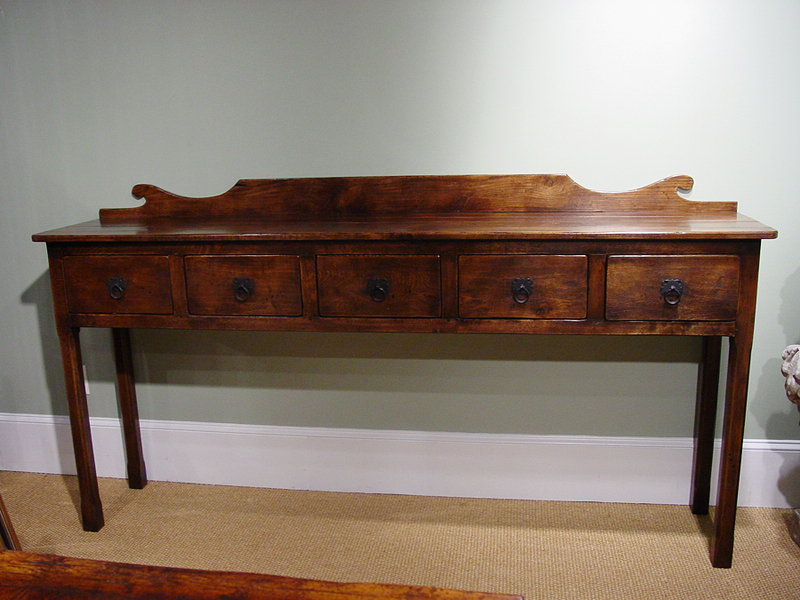 This dresser & rack is hand-made in England by skilled craftsman and is a true work of art. The beautiful patina makes the piece a feature in any room. The item is one of a kind but can be repeated, there will always be slight variations making each piece unique. 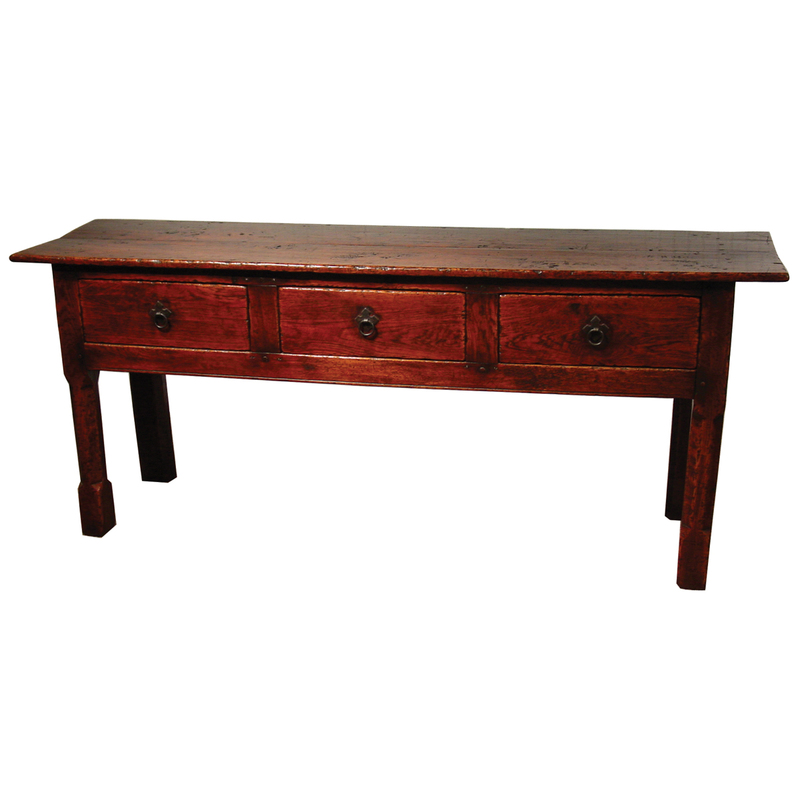 Rustic Oak 2 drawer tapered leg server with bread board ends and overhang. 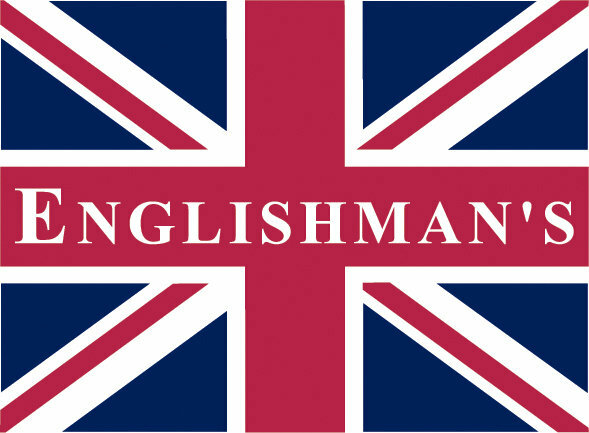 This server is hand-made in England by skilled craftsman and is a true work of art. 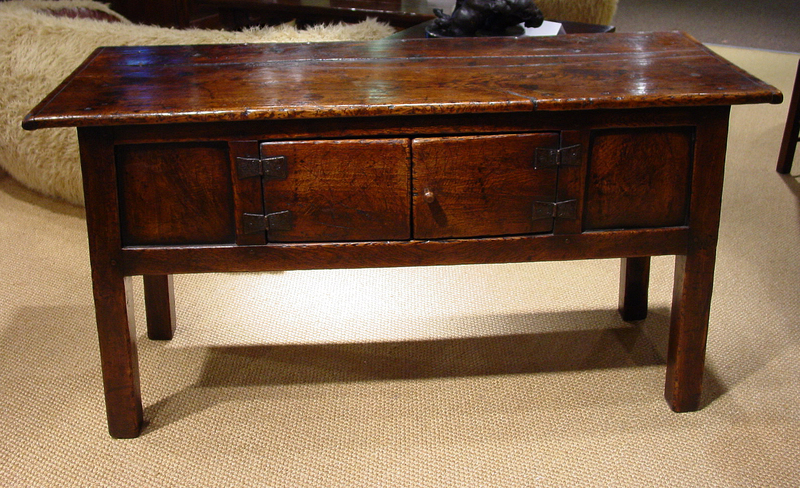 The beautiful patina makes the piece a feature in any room. 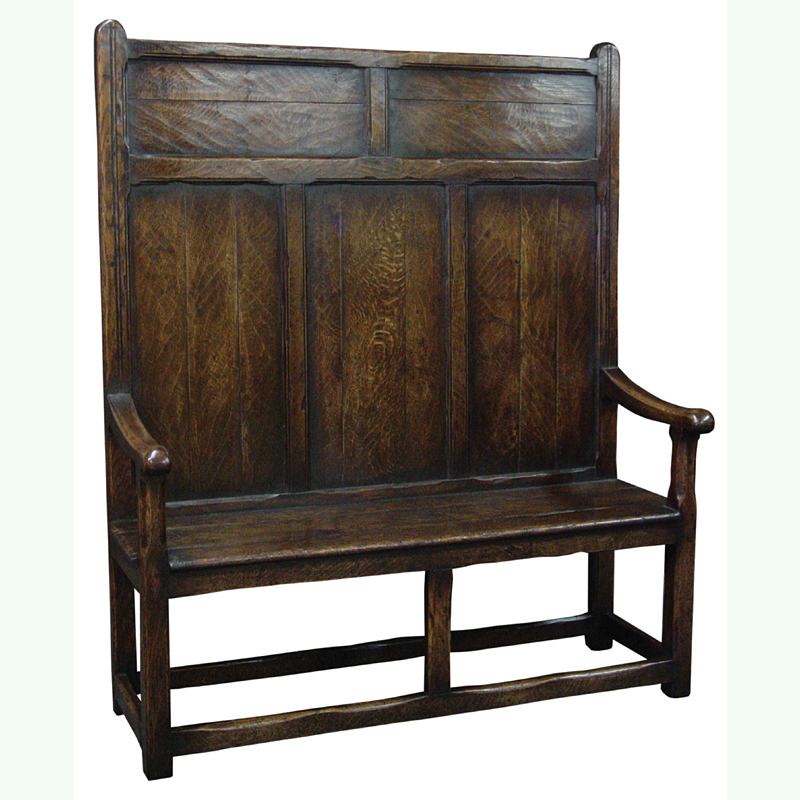 The item is one of a kind but can be repeated, there will always be slight variations making each piece unique. 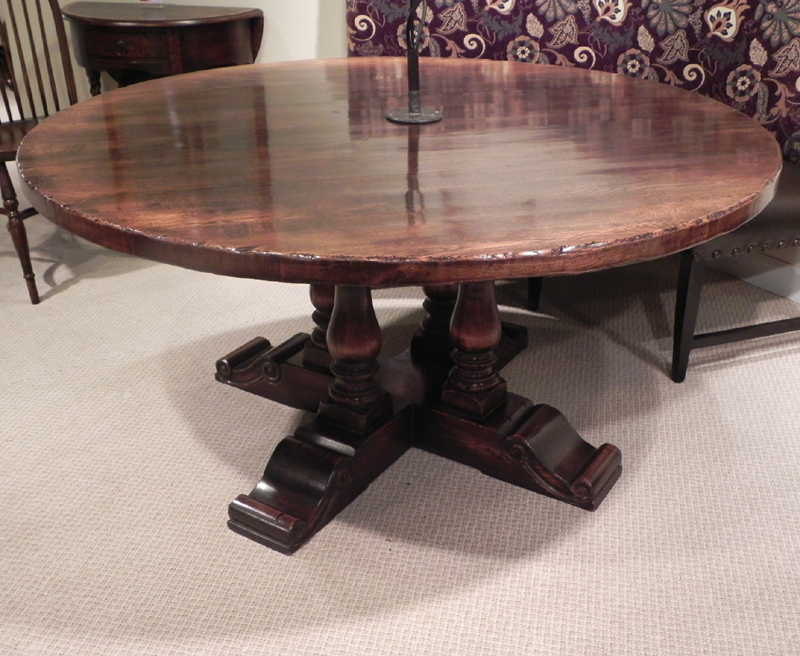 Rustic oak finish 60" round 4 turned pillar base table. 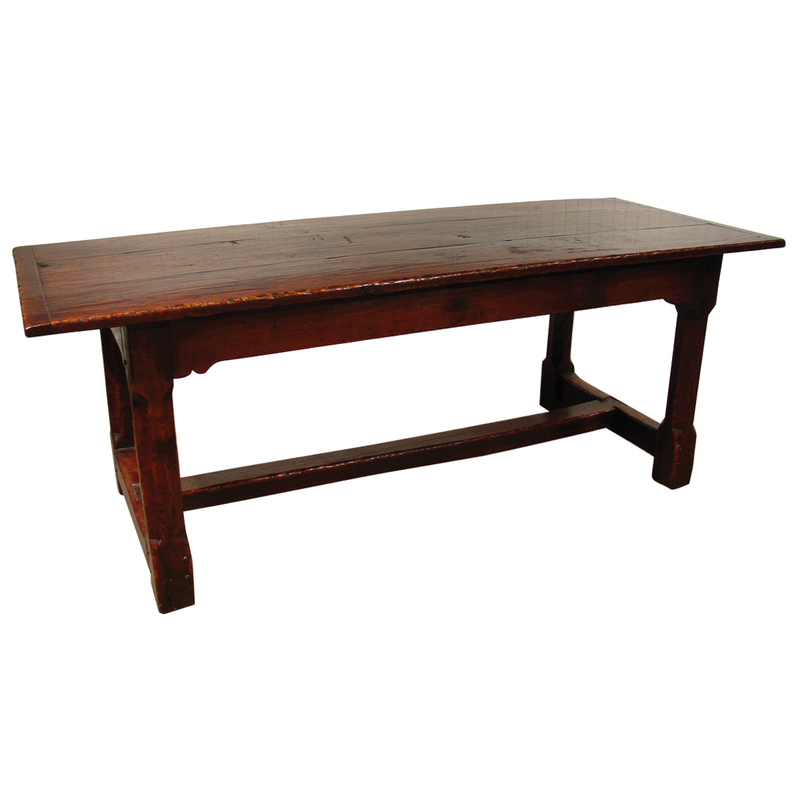 This table is hand-made in England by skilled craftsman and is a true work of art. 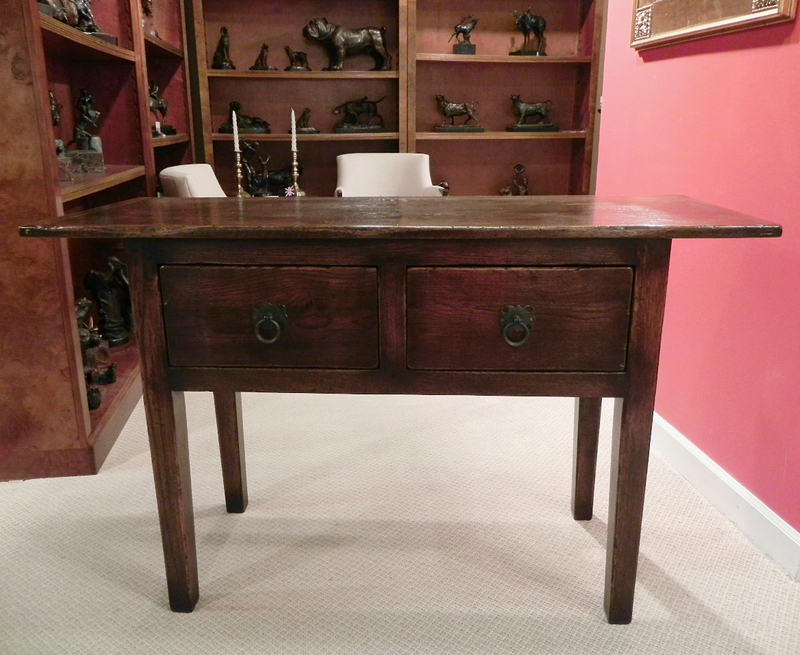 The beautiful patina makes the piece a feature in any room. 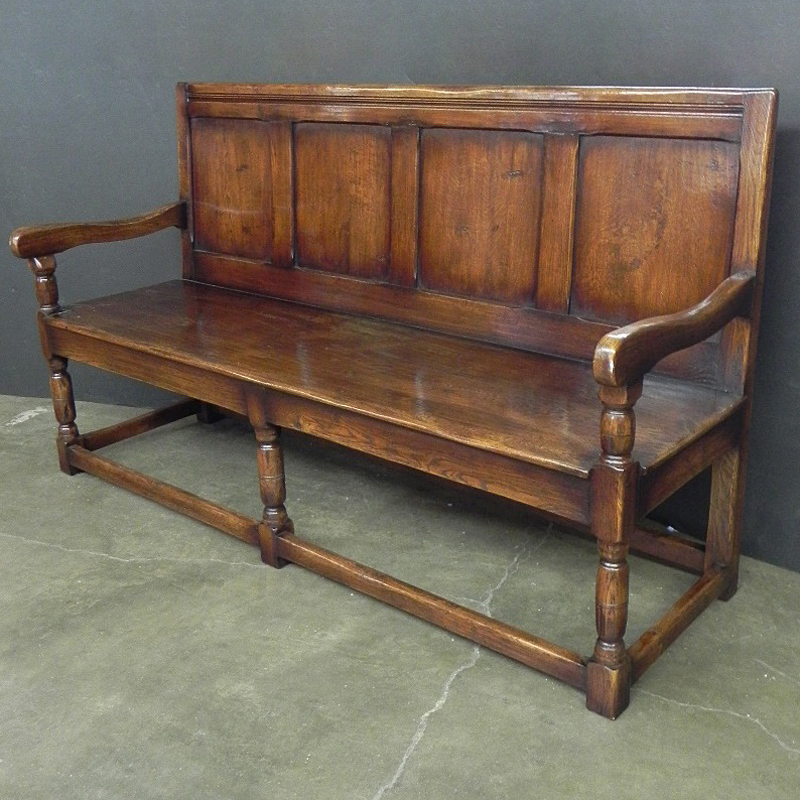 The item is one of a kind but can be repeated, there will always be slight variations making each piece unique. Rustic oak finish joined double door hutch with overhang. 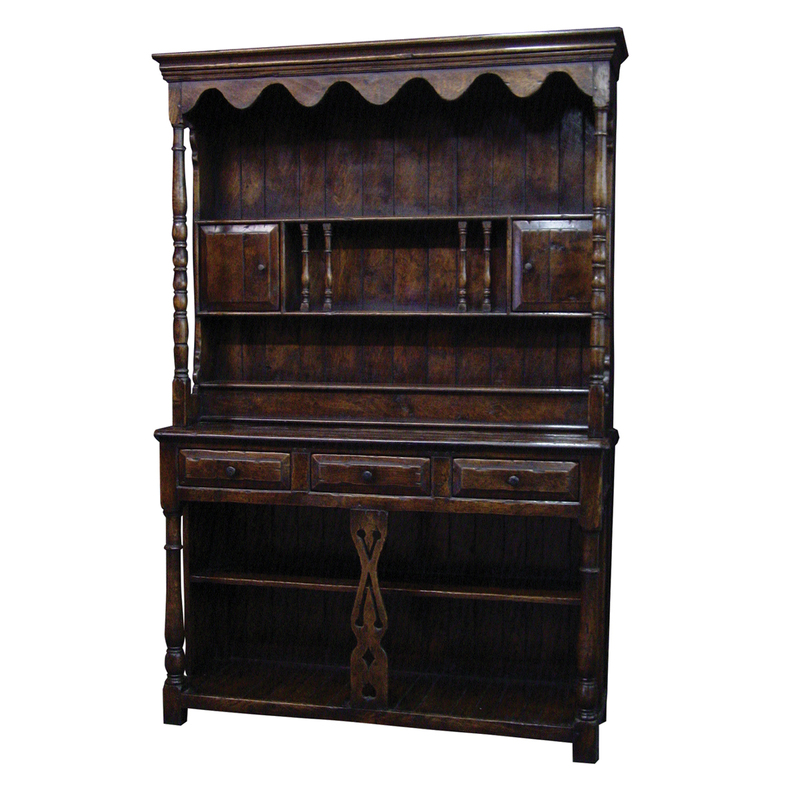 This double door hutch is hand-made in England by skilled craftsman and is a true work of art. The beautiful patina makes the piece a feature in any room. The item is one of a kind but can be repeated, there will always be slight variations making each piece unique. 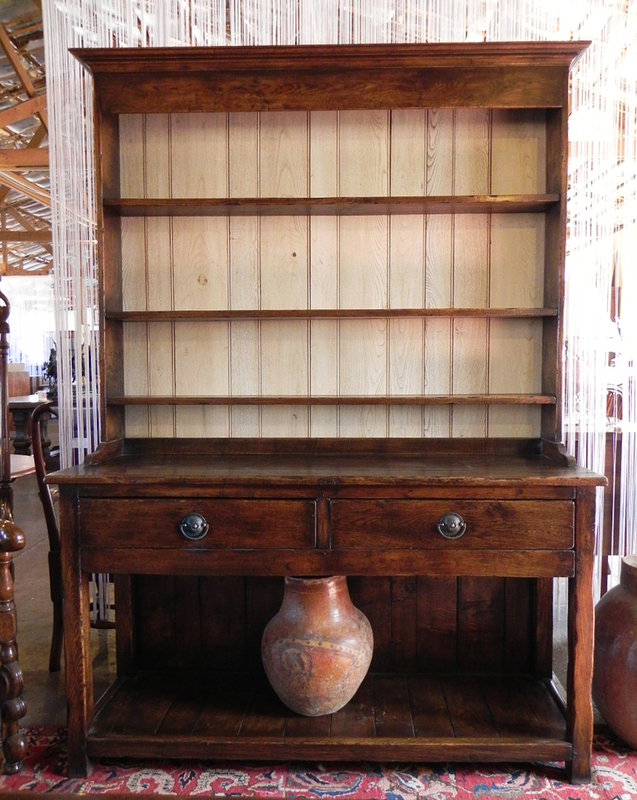 Rustic oak finish joined high open dresser & rack with 2 drawers and potboard base. 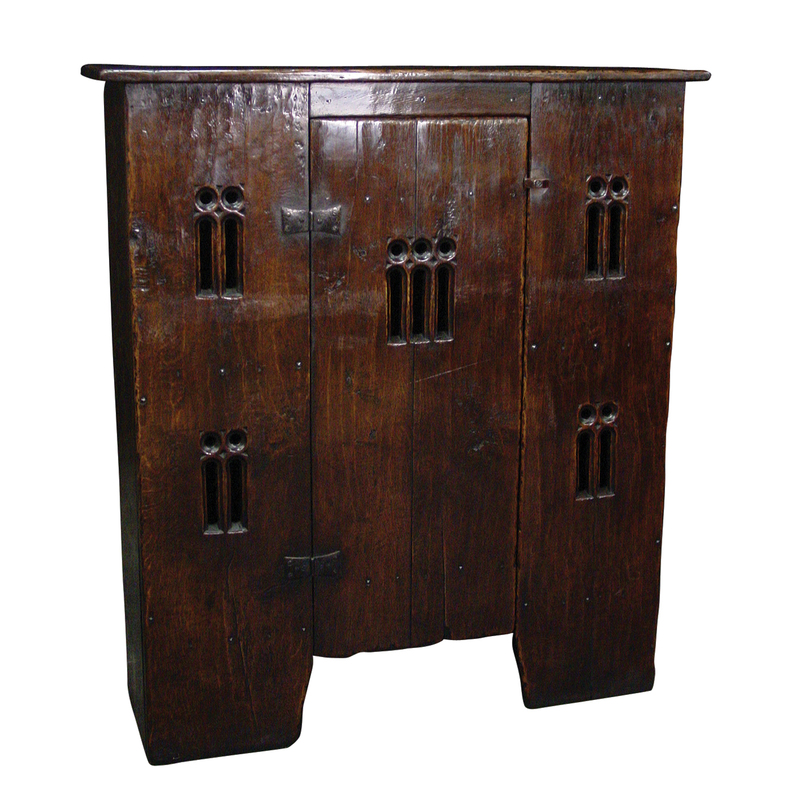 This dole cupboard is hand-made in England by skilled craftsman and is a true work of art. The beautiful patina makes the piece a feature in any room. The item is one of a kind but can be repeated, there will always be slight variations making each piece unique. 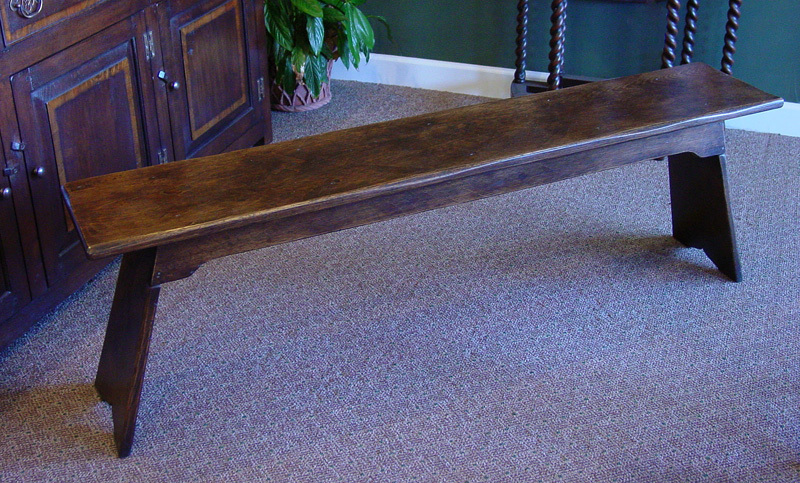 Rustic oak finish joined bench. 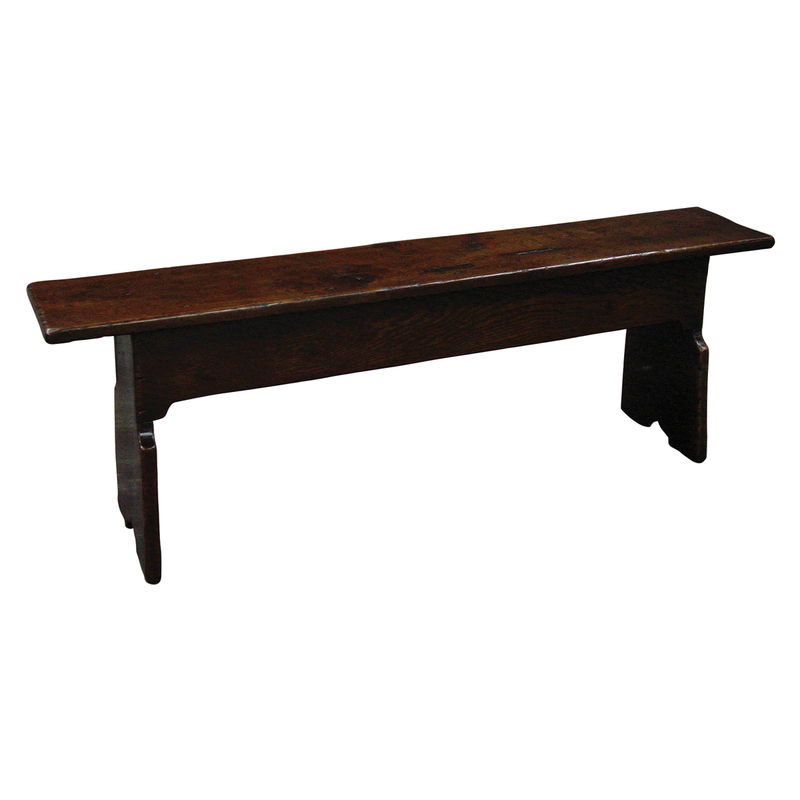 This bench is hand-made in England by skilled craftsman and is a true work of art. The beautiful patina makes the piece a feature in any room. The item is one of a kind but can be repeated, there will always be slight variations making each piece unique. 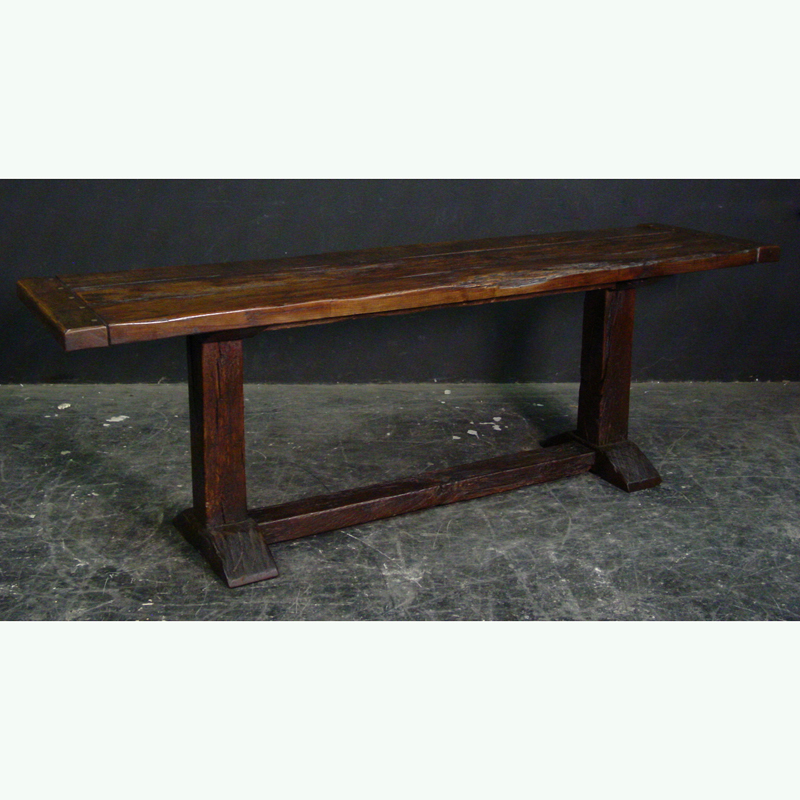 Rustic oak finish square baluster leg trestle base Norfolk Mead style dining table with breadboard ends and middle leg. 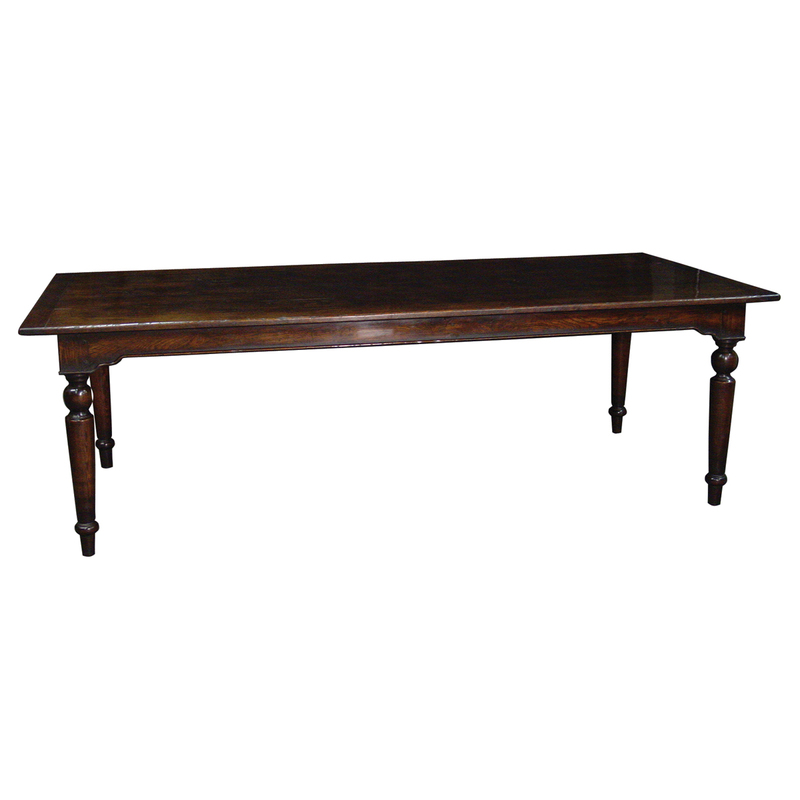 This table is hand-made in England by skilled craftsman and is a true work of art. 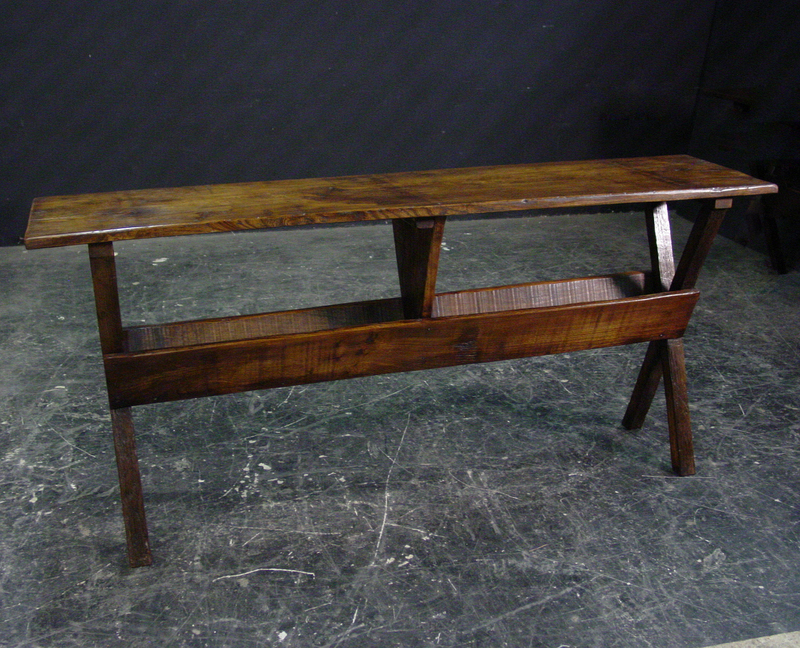 The beautiful patina makes the piece a feature in any room. The item is one of a kind but can be repeated, there will always be slight variations making each piece unique. 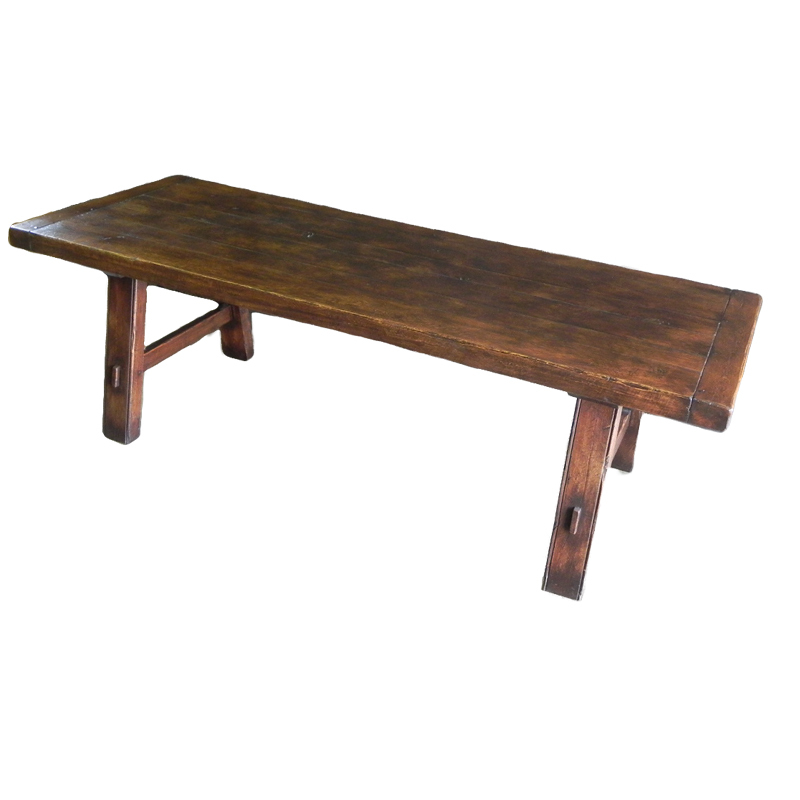 Rustic oak finish shaped trestle end base three board top refectory table. 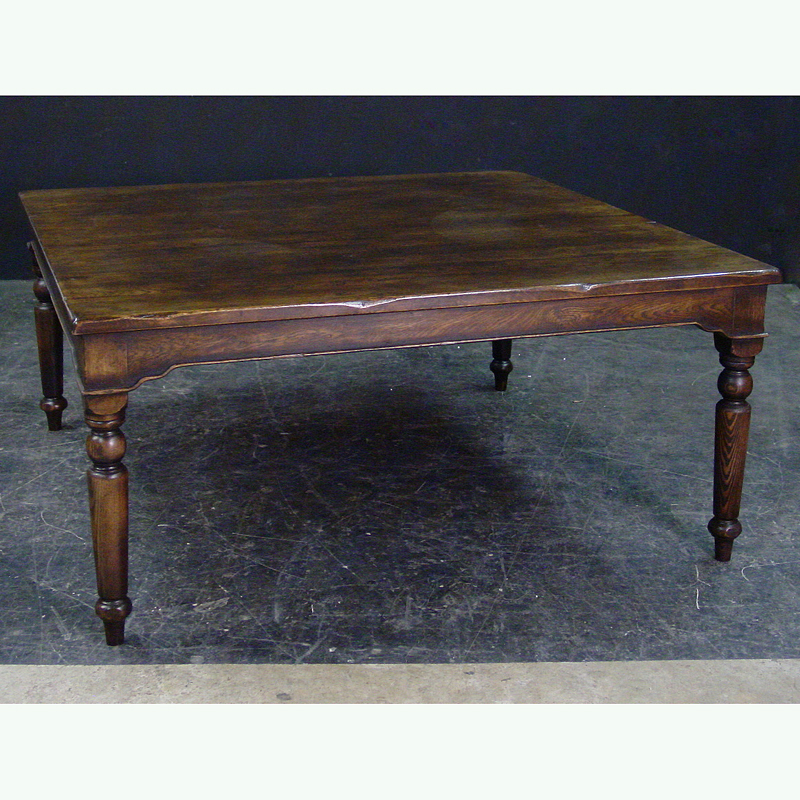 This table is hand-made in England by skilled craftsman and is a true work of art. 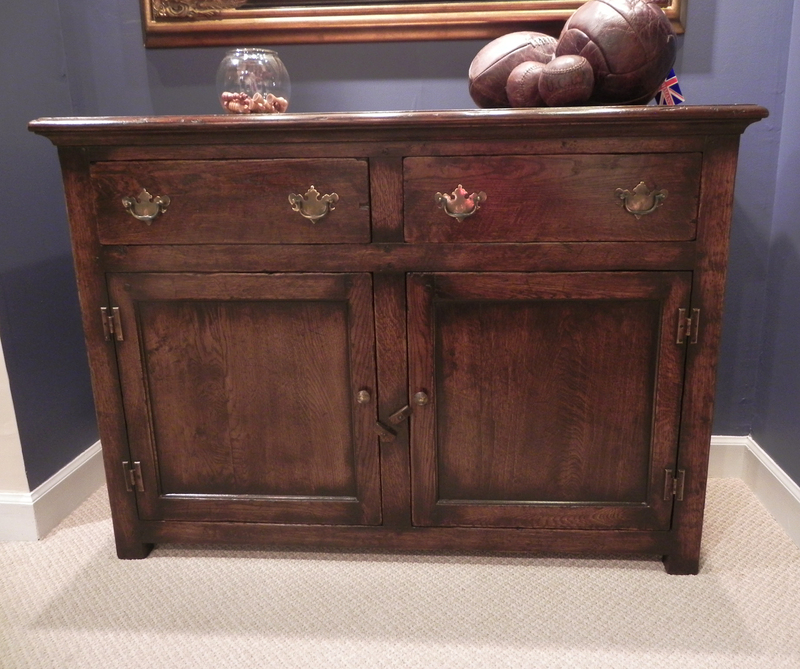 The beautiful patina makes the piece a feature in any room. The item is one of a kind but can be repeated, there will always be slight variations making each piece unique. 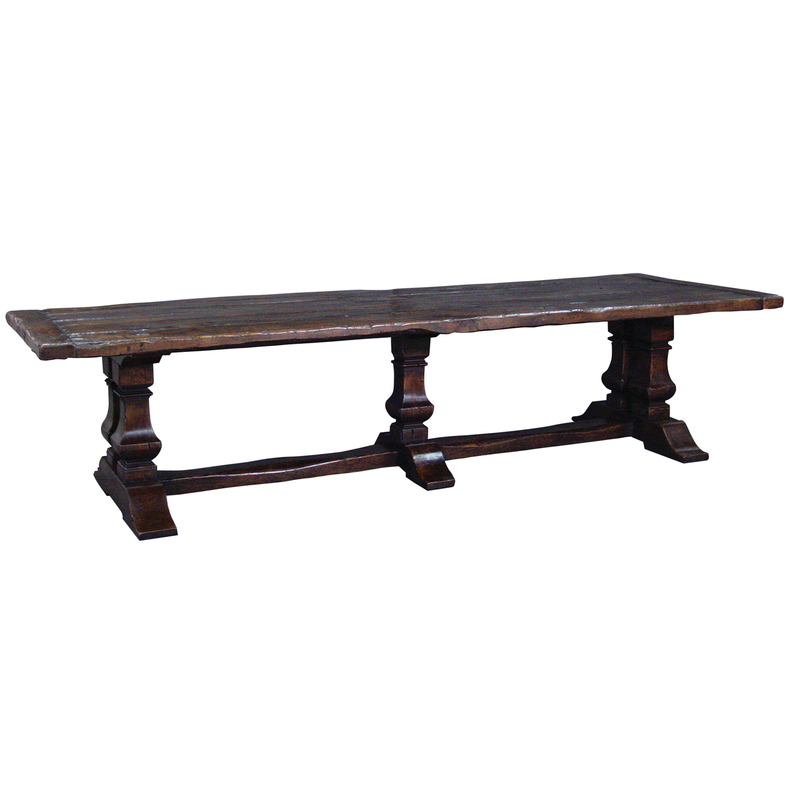 Rustic oak finish square baluster leg trestle base refectory table with bread board ends. 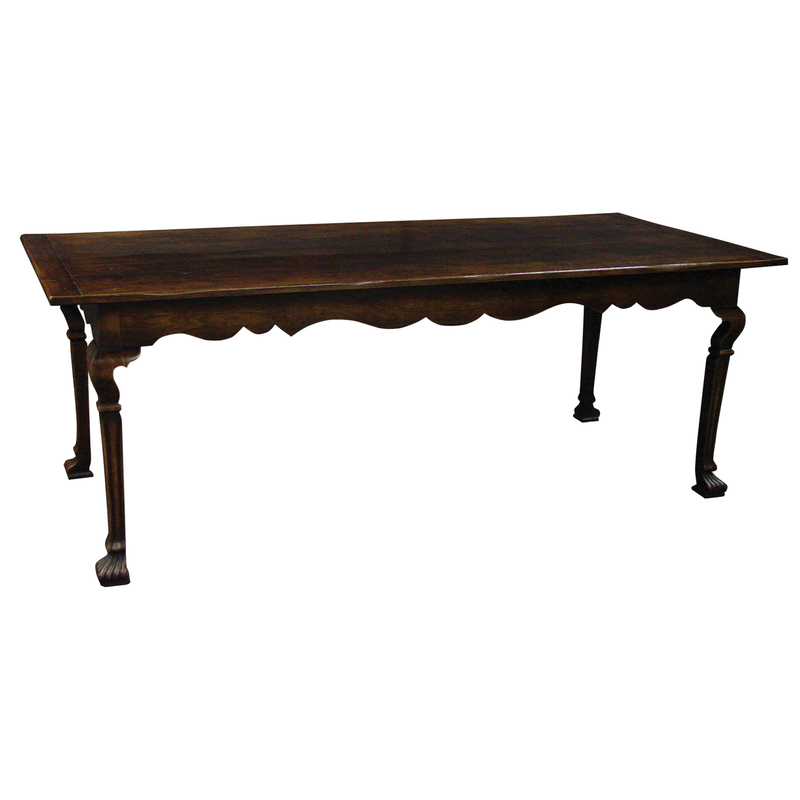 This table is hand-made in England by skilled craftsman and is a true work of art. 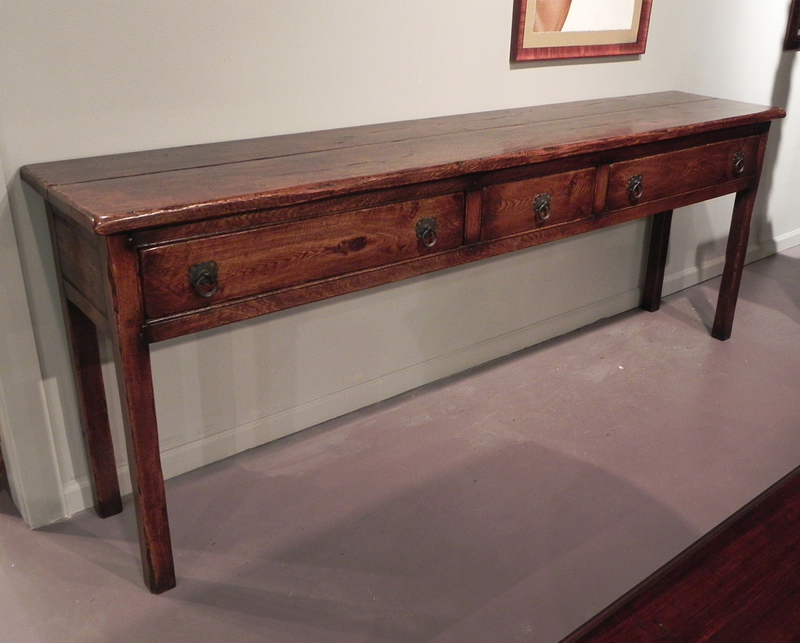 The beautiful patina makes the piece a feature in any room. The item is one of a kind but can be repeated, there will always be slight variations making each piece unique. 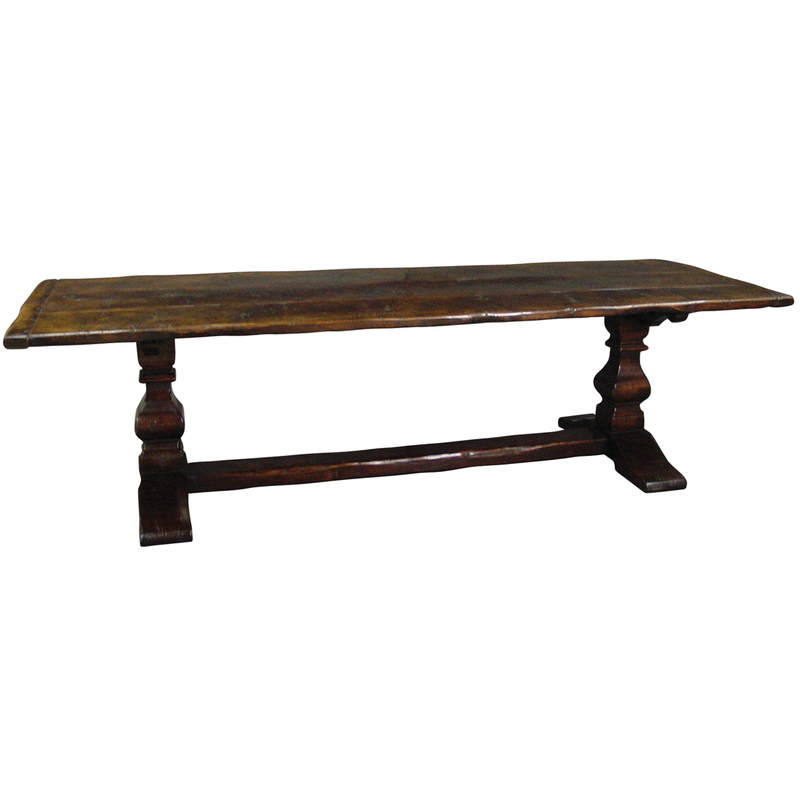 Rustic oak finish heavily distressed trestle base coffee table. 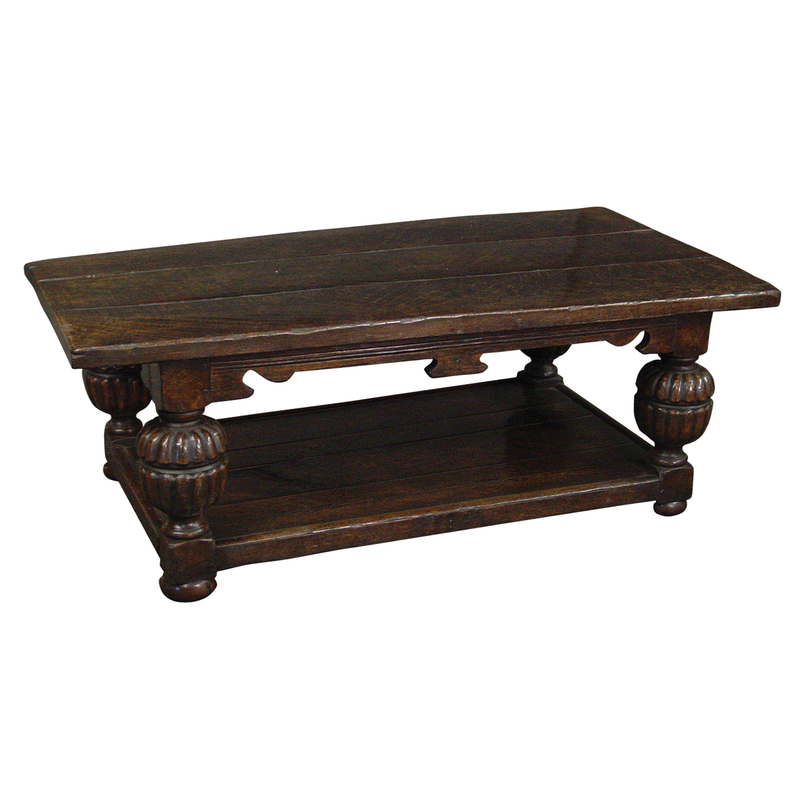 This coffee table is hand-made in England by skilled craftsman and is a true work of art. 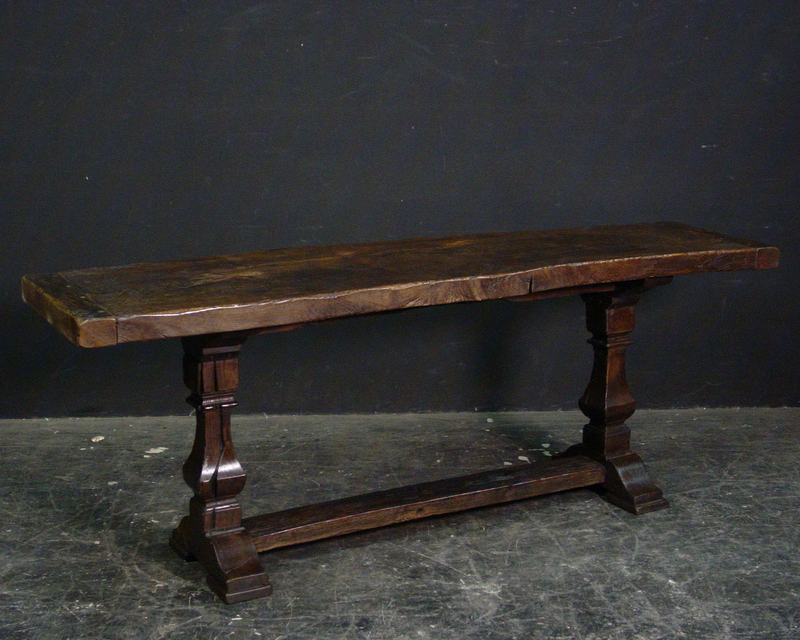 The beautiful patina makes the piece a feature in any room. The item is one of a kind but can be repeated, there will always be slight variations making each piece unique. 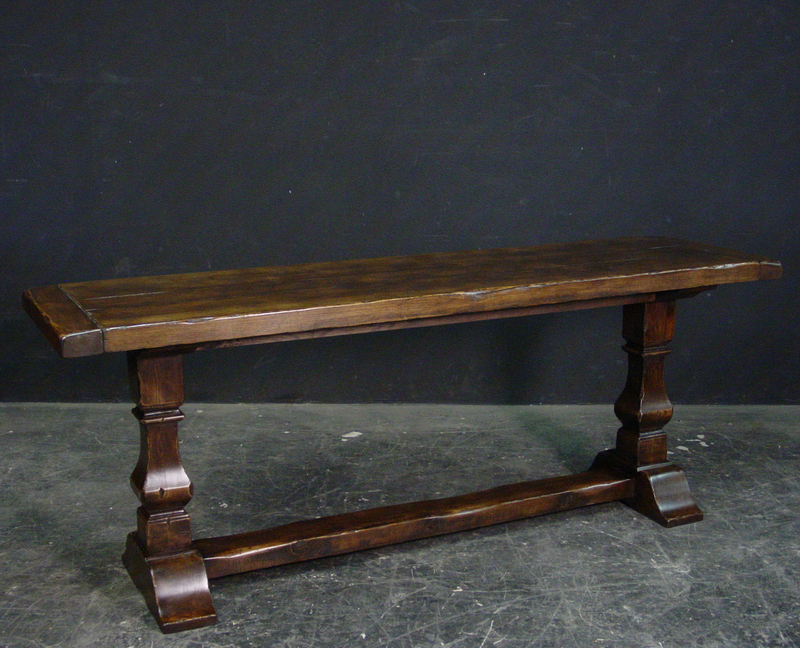 Rustic Oak double square cut baluster end coffee table . 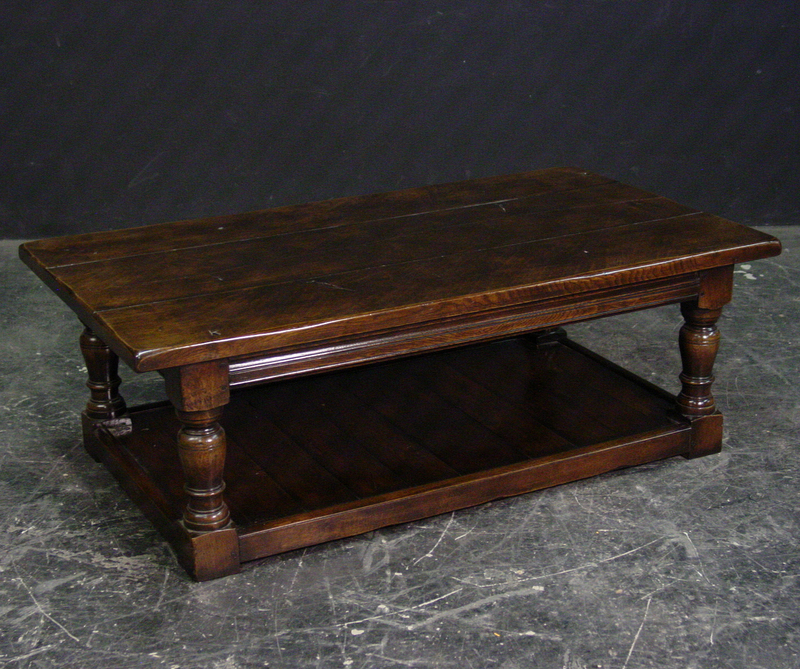 This coffee table is hand-made in England by skilled craftsman and is a true work of art. 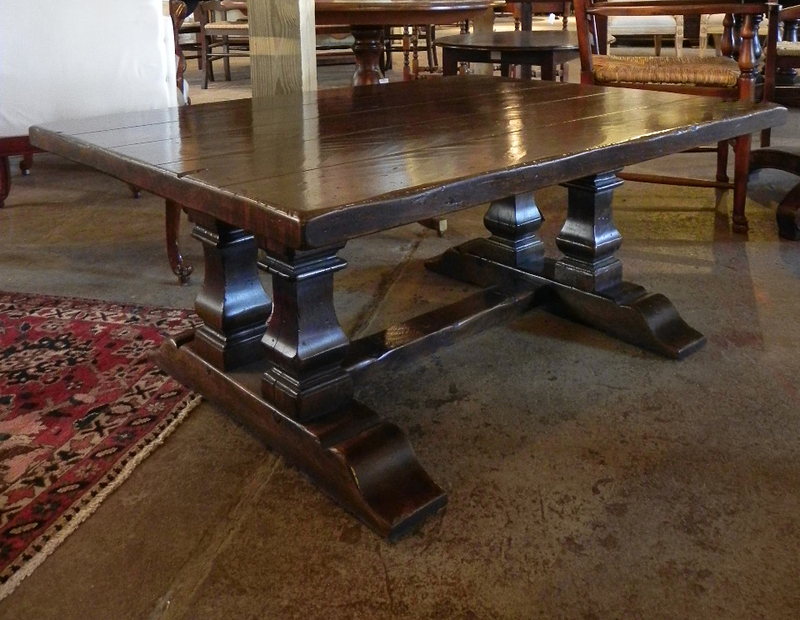 The beautiful patina makes the piece a feature in any room. The item is one of a kind but can be repeated, there will always be slight variations making each piece unique. 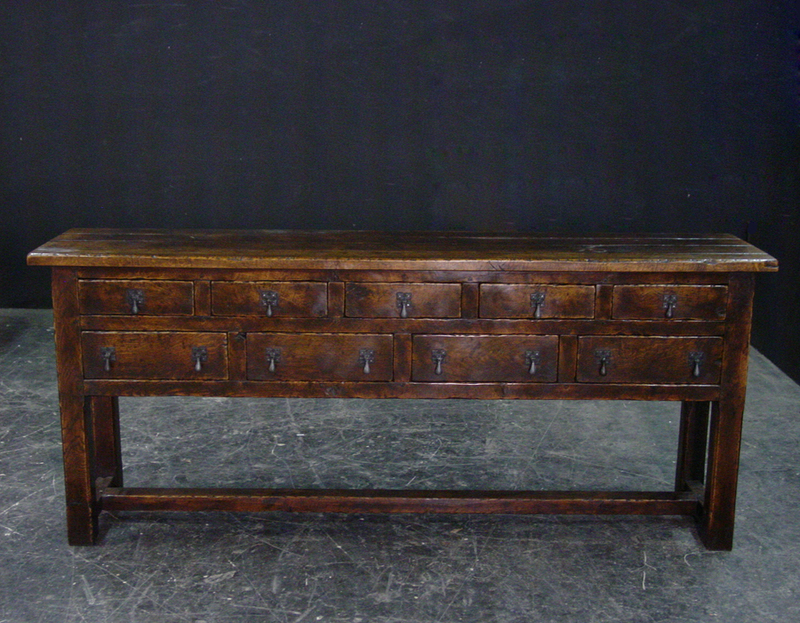 Rustic Oak finish 3 drawer dresser base with straight legs . 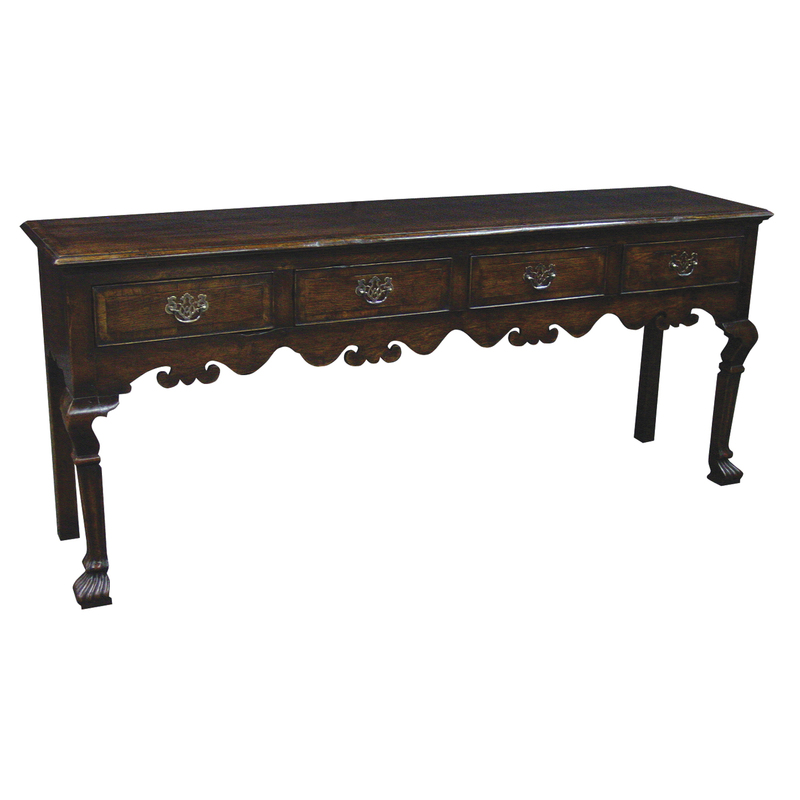 This server is hand-made in England by skilled craftsman and is a true work of art. 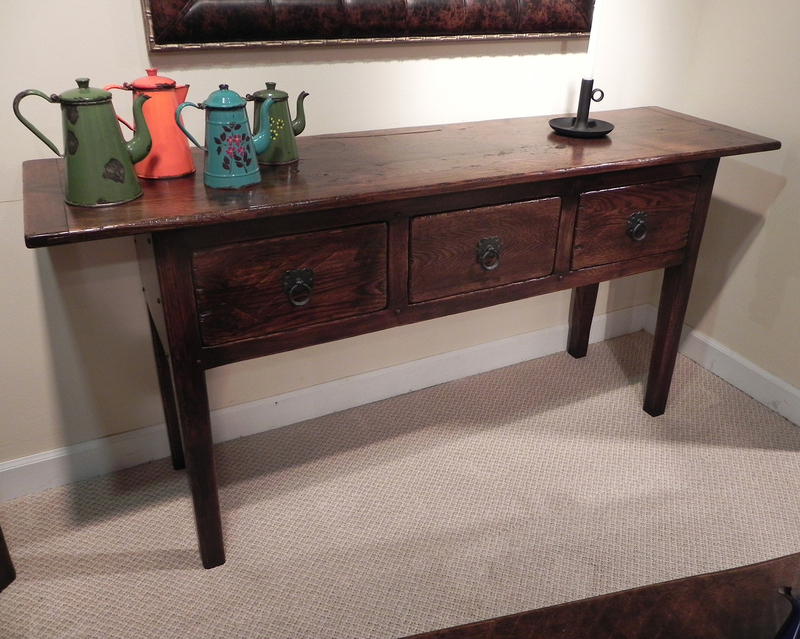 The beautiful patina makes the piece a feature in any room. The item is one of a kind but can be repeated, there will always be slight variations making each piece unique. 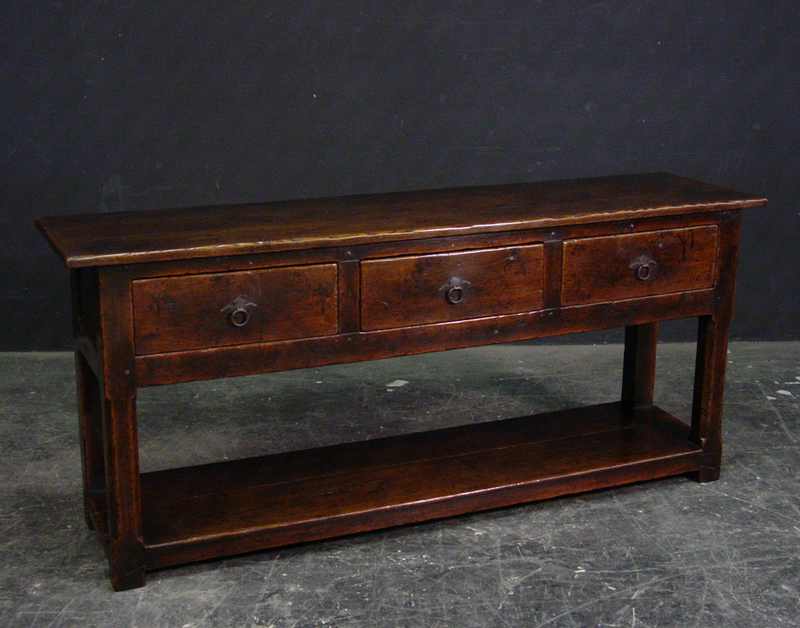 Rustic Oak finish French side table with drawer. 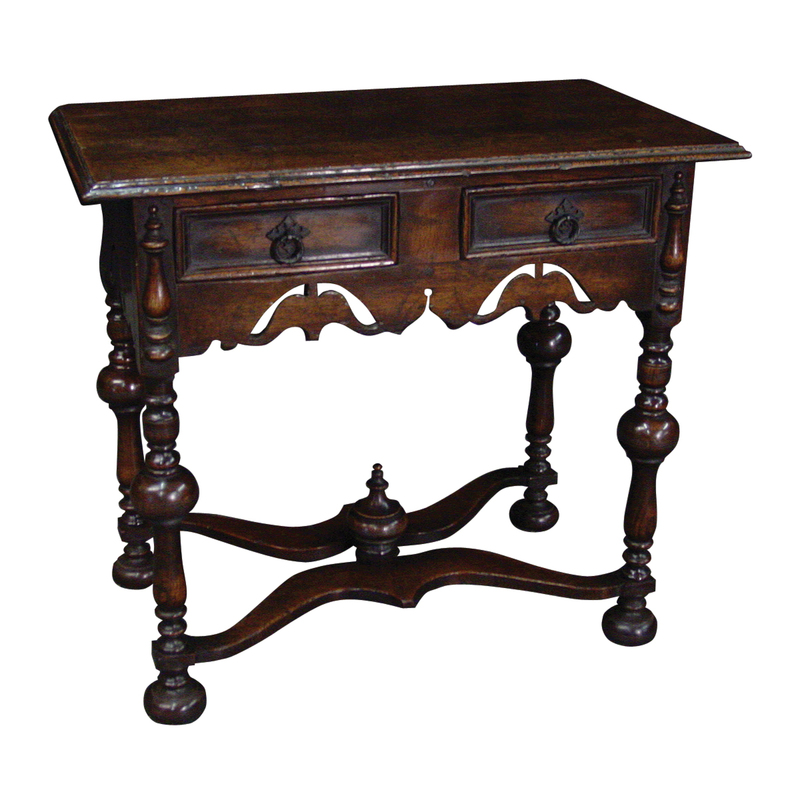 This side table is hand-made in England by skilled craftsman and is a true work of art. 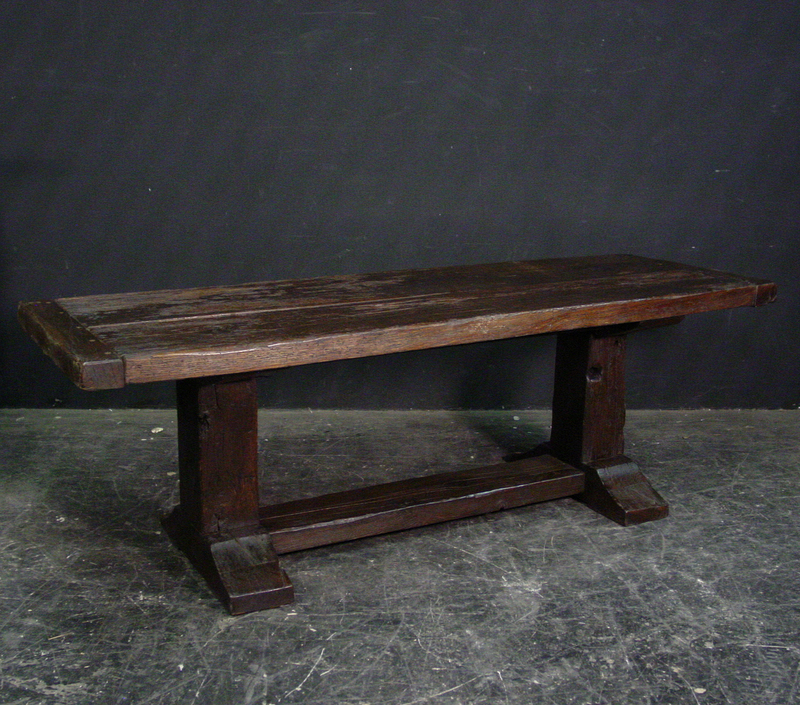 The beautiful patina makes the piece a feature in any room. The item is one of a kind but can be repeated, there will always be slight variations making each piece unique. 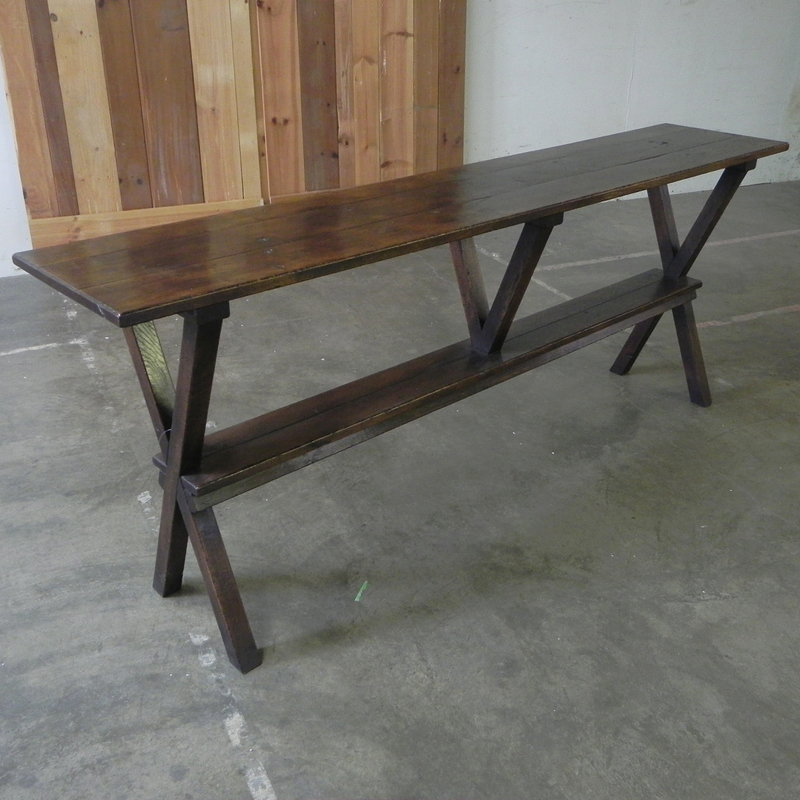 Rustic Oak finish turned double leg sofa table with bread board ends. 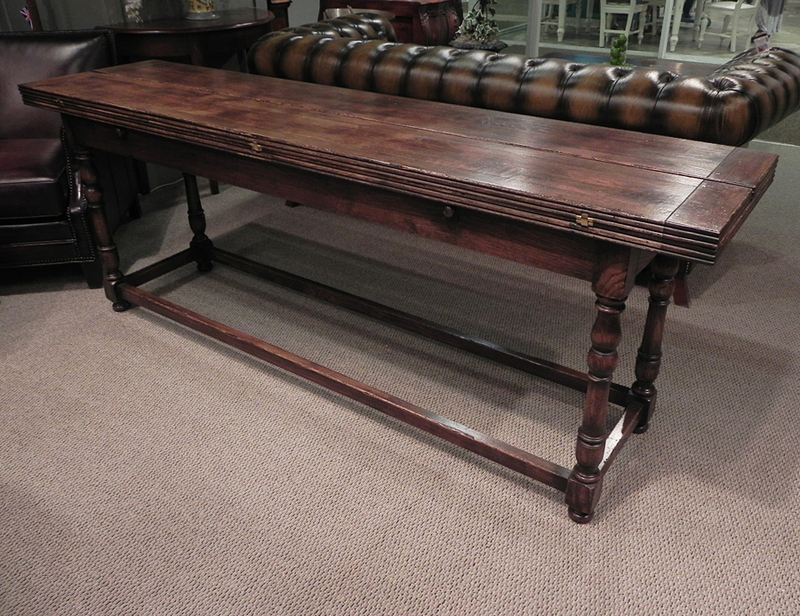 This table is hand-made in England by skilled craftsman and is a true work of art. The beautiful patina makes the piece a feature in any room. The item is one of a kind but can be repeated, there will always be slight variations making each piece unique. 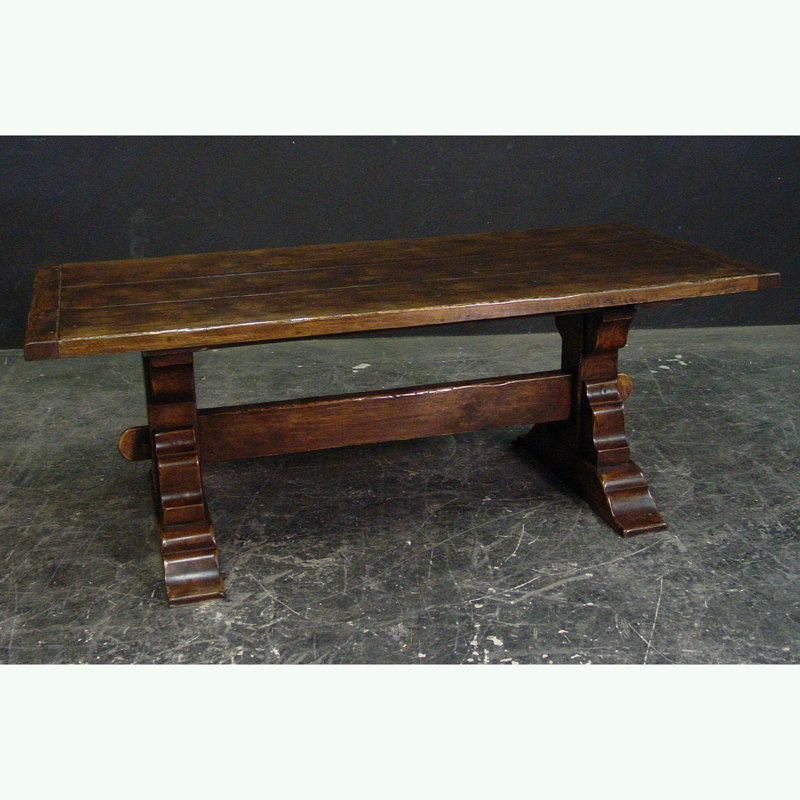 Rustic oak finish Oak thick top potboard base coffee table. 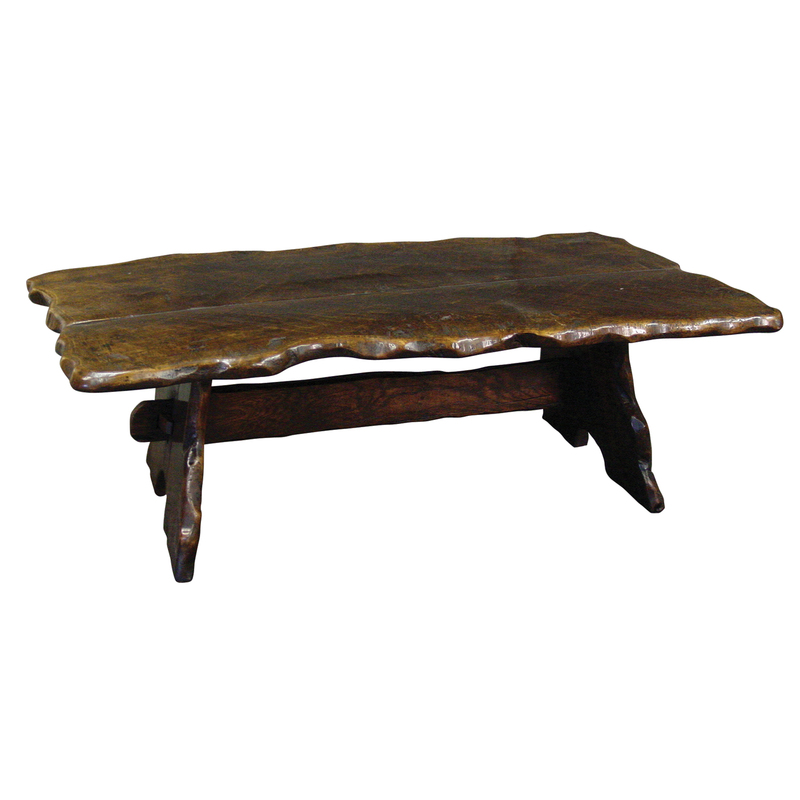 This coffee table is hand-made in England by skilled craftsman and is a true work of art. The beautiful patina makes the piece a feature in any room. The item is one of a kind but can be repeated, there will always be slight variations making each piece unique. 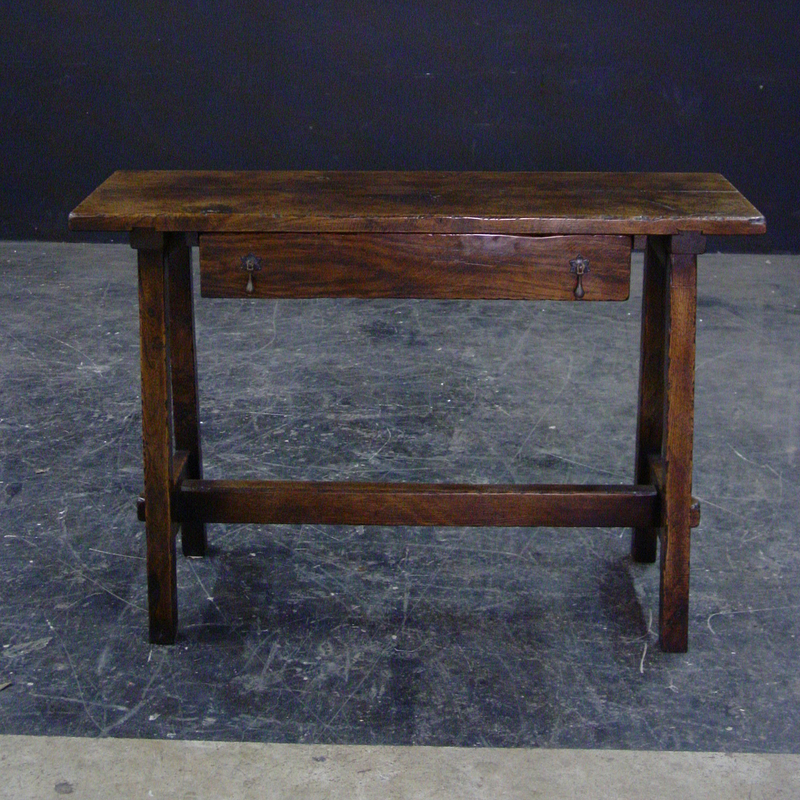 Rustic oak finish joined William and Mary style side table with fretted apron. 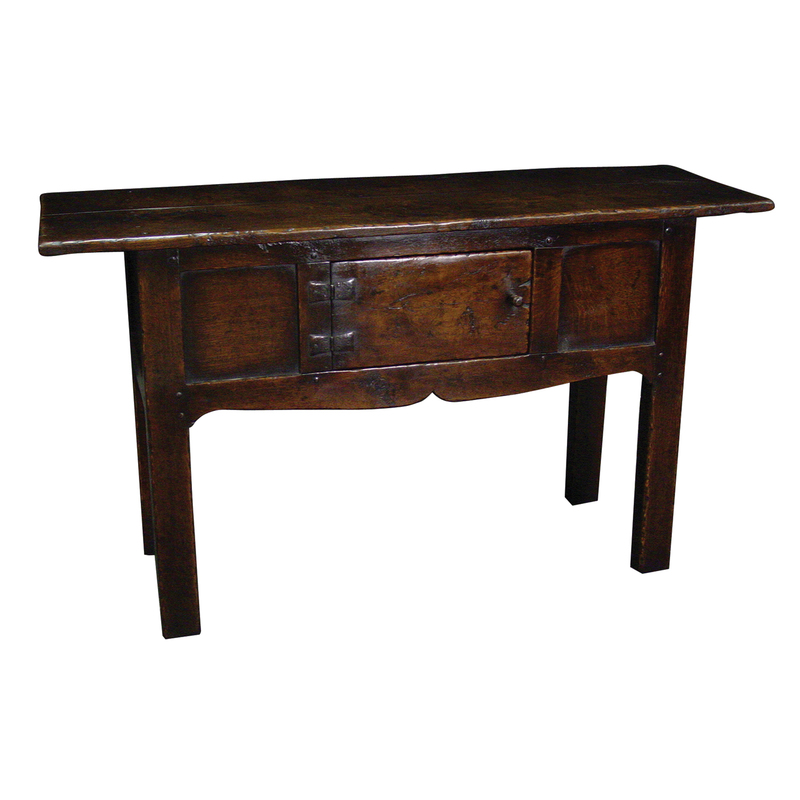 This side table is hand-made in England by skilled craftsman and is a true work of art. The beautiful patina makes the piece a feature in any room. The item is one of a kind but can be repeated, there will always be slight variations making each piece unique. Rustic oak finish, yew wood banded 4 drawer dresser base with Georgian leg. 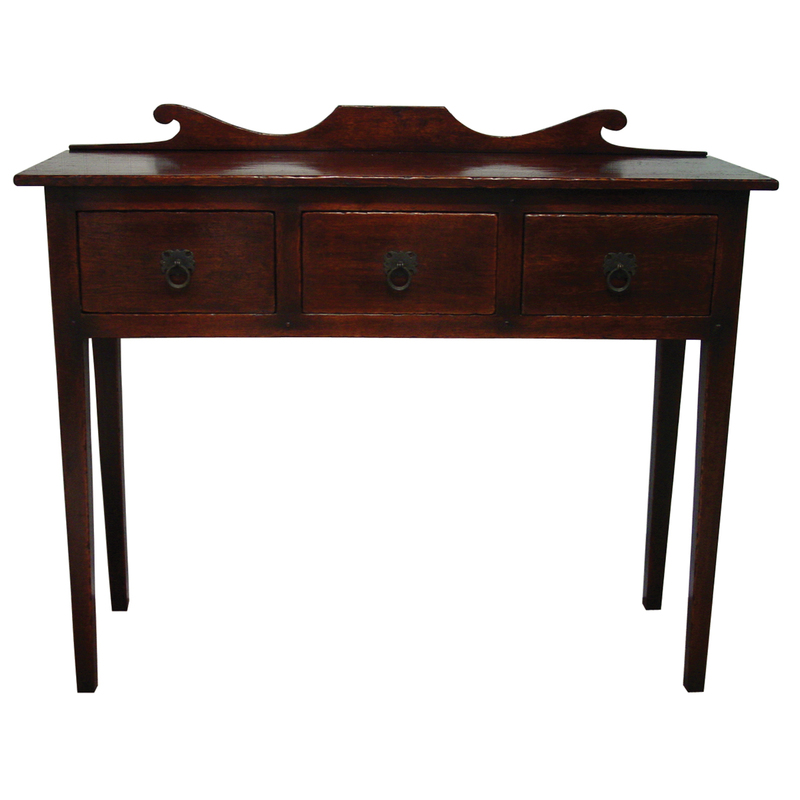 This dresser base is hand-made in England by skilled craftsman and is a true work of art. The beautiful patina makes the piece a feature in any room. The item is one of a kind but can be repeated, there will always be slight variations making each piece unique. 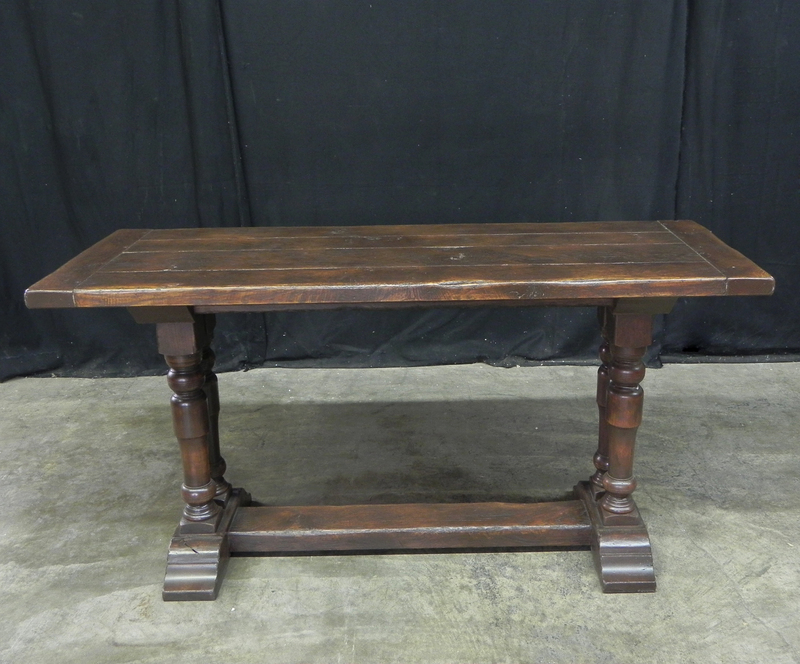 Rustic oak finish Georgian leg farmhouse table with breadboard ends. 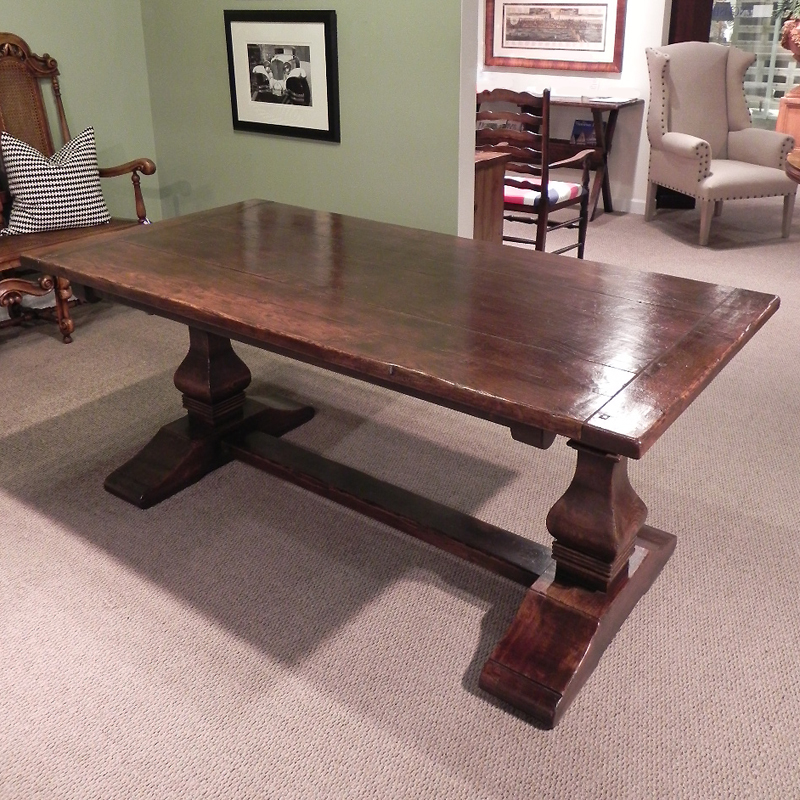 This dining table is hand-made in England by skilled craftsman and is a true work of art. The beautiful patina makes the piece a feature in any room. The item is one of a kind but can be repeated, there will always be slight variations making each piece unique. 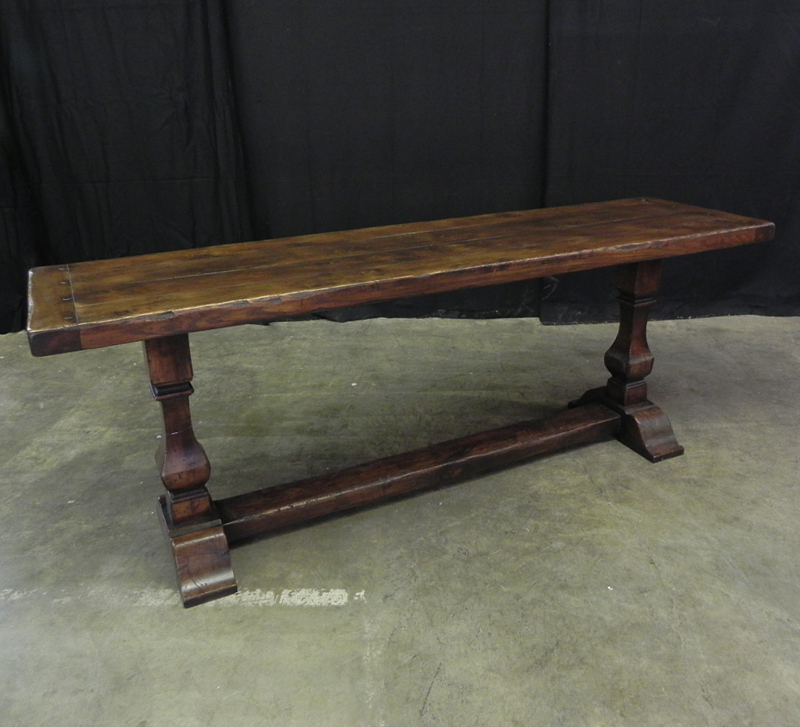 Rustic oak finish 2 board top refectory table with bread board ends & square cut post. 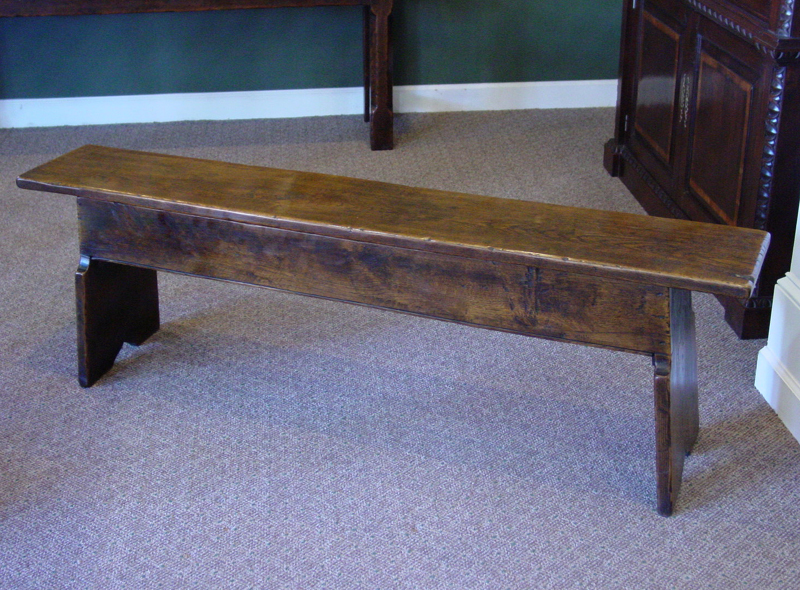 This table is hand-made in England by skilled craftsman and is a true work of art. The beautiful patina makes the piece a feature in any room. The item is one of a kind but can be repeated, there will always be slight variations making each piece unique. 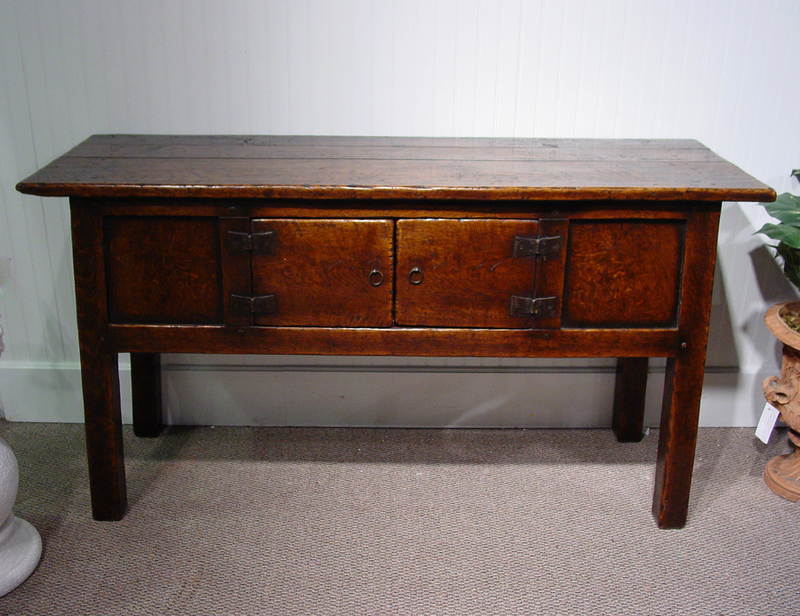 Rustic oak finish 3 drawer server with bread board ends and overhang. 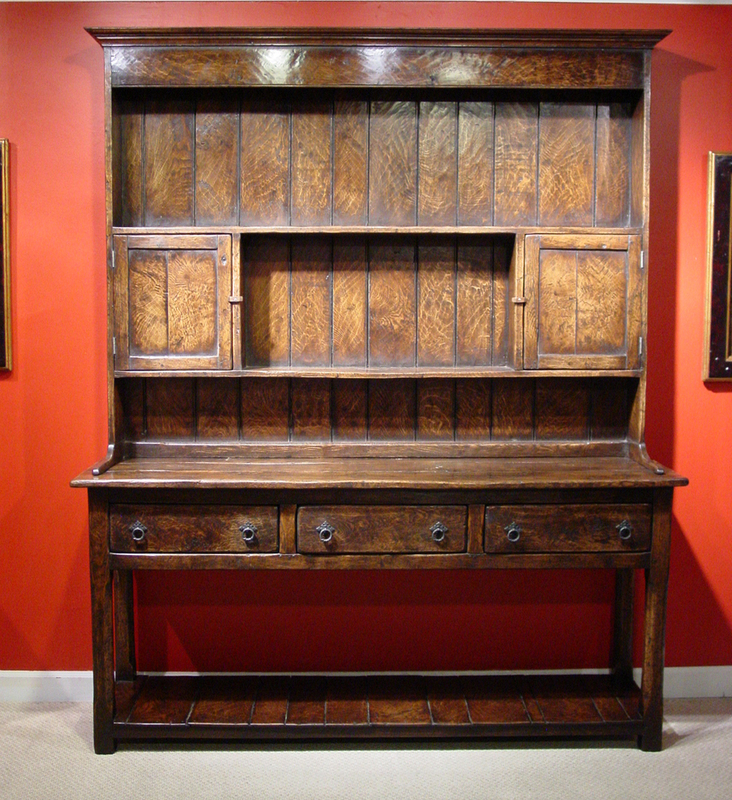 This server is hand-made in England by skilled craftsman and is a true work of art. The beautiful patina makes the piece a feature in any room. The item is one of a kind but can be repeated, there will always be slight variations making each piece unique. 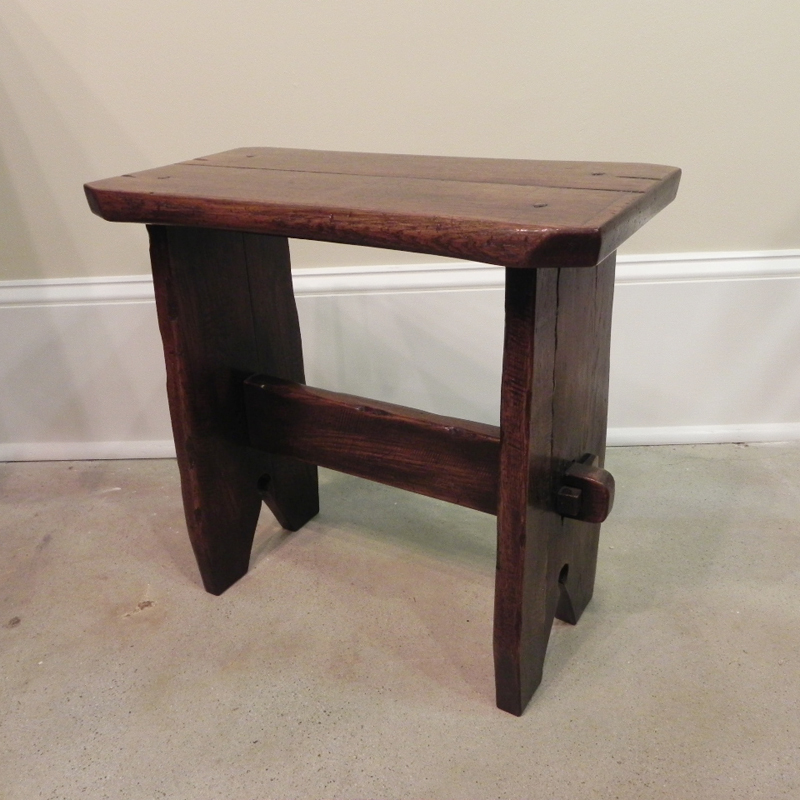 Rustic oak finish 4 drawer turned leg stretcher base server. 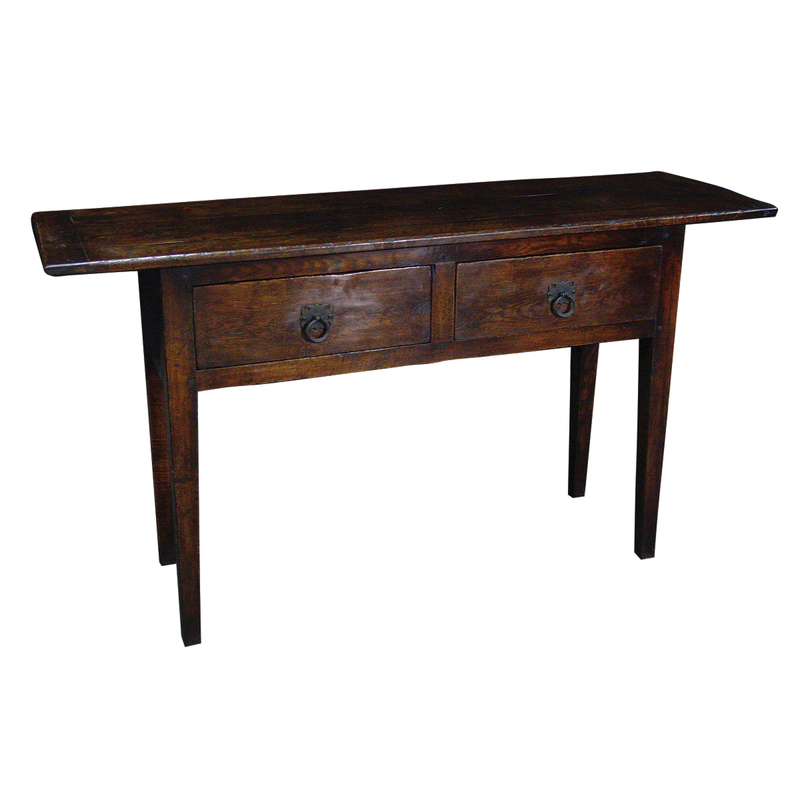 This server is hand-made in England by skilled craftsman and is a true work of art. The beautiful patina makes the piece a feature in any room. The item is one of a kind but can be repeated, there will always be slight variations making each piece unique. Rustic oak finish joined single door hutch with shaped apron and overhang. 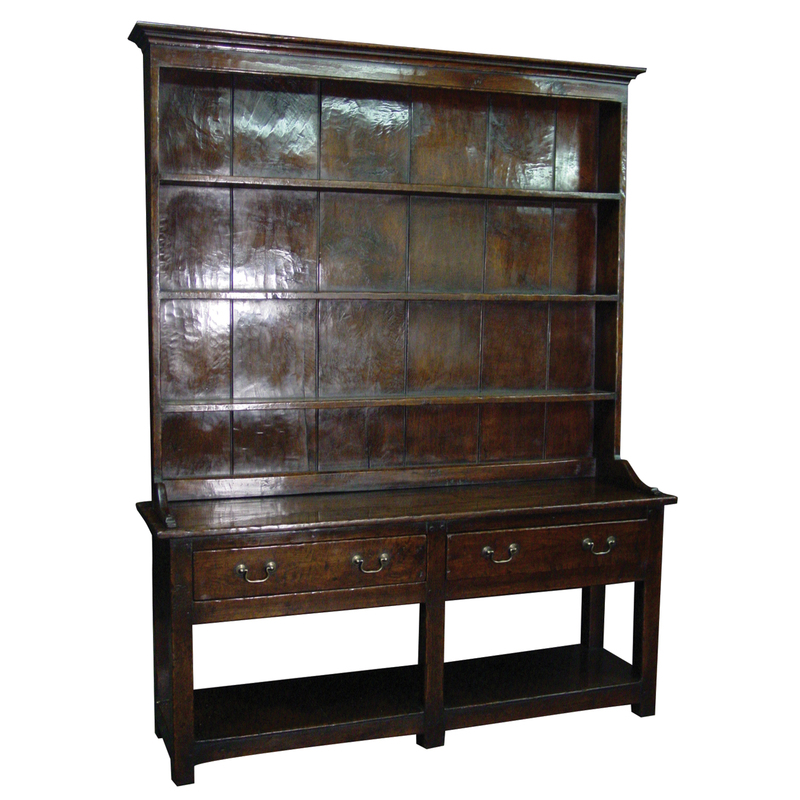 This hutch is hand-made in England by skilled craftsman and is a true work of art. The beautiful patina makes the piece a feature in any room. The item is one of a kind but can be repeated, there will always be slight variations making each piece unique. 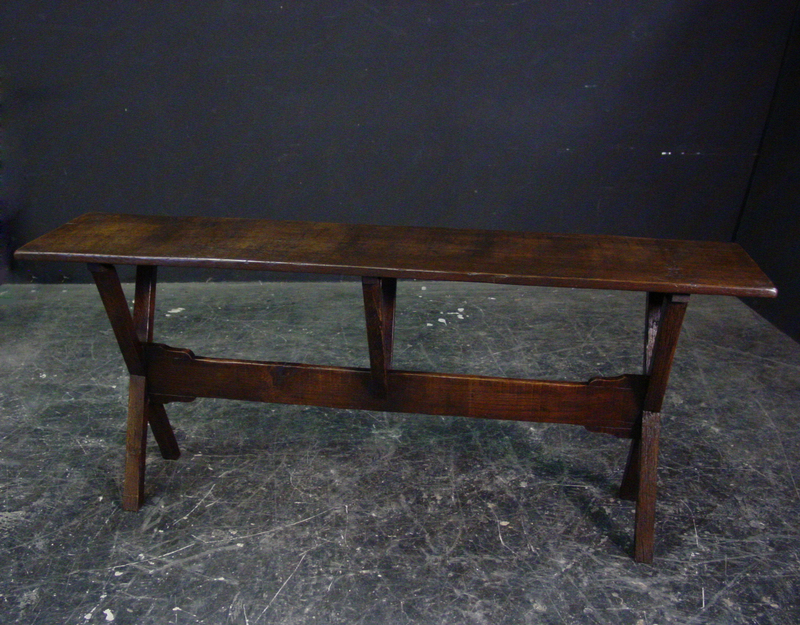 Rustic oak finish joined long trestle base dining table with chamfered legs and breadboard ends. 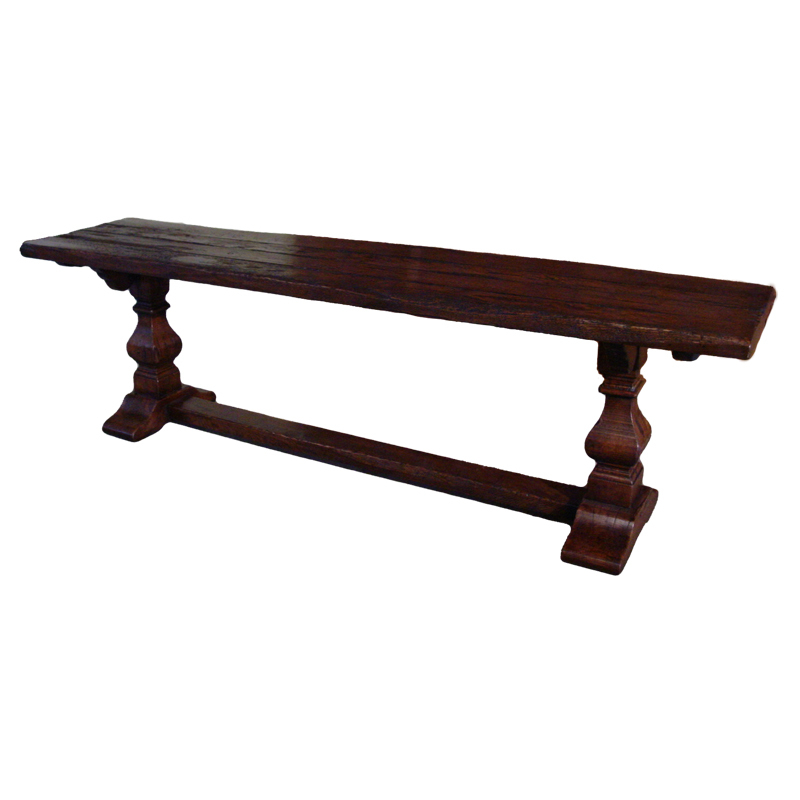 This table is hand-made in England by skilled craftsman and is a true work of art. 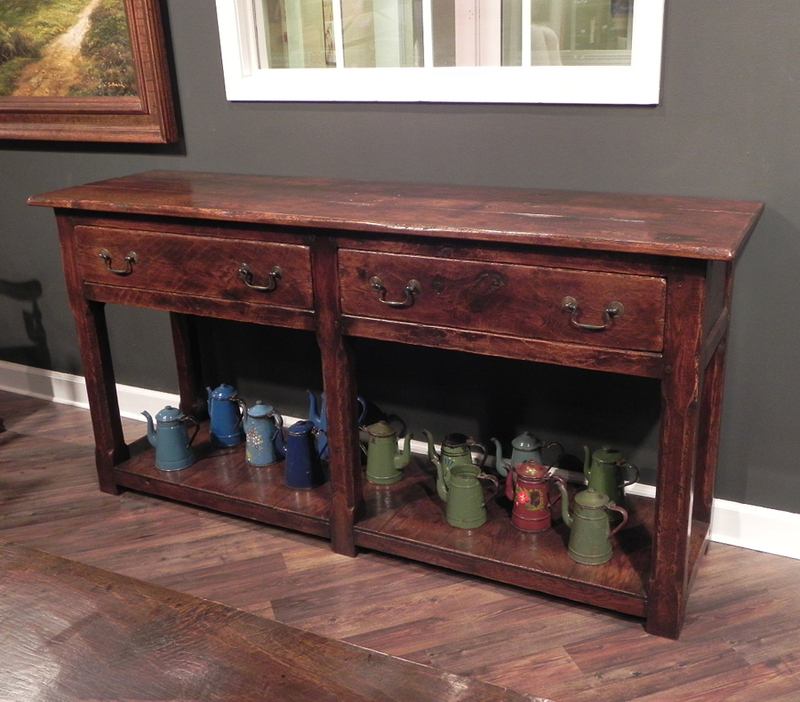 The beautiful patina makes the piece a feature in any room. 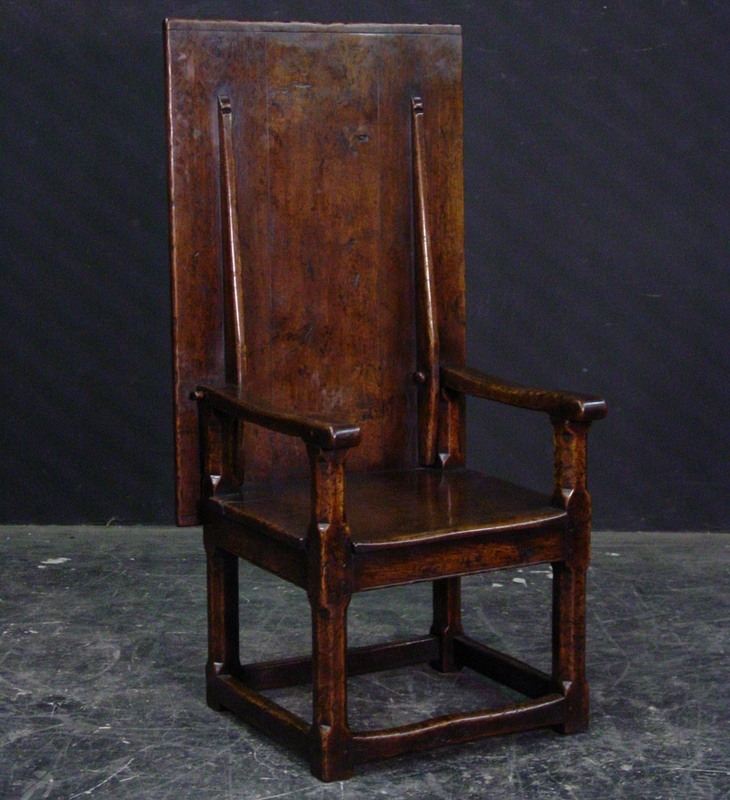 The item is one of a kind but can be repeated, there will always be slight variations making each piece unique. 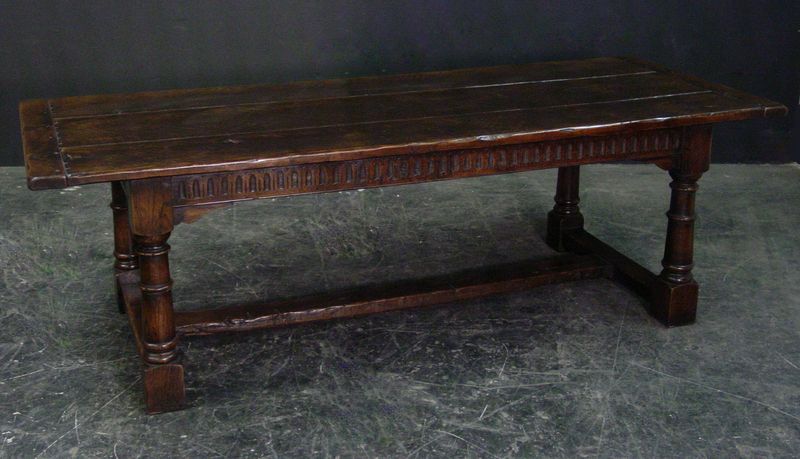 Rustic Oak finish joined single door dole cupboard with Gothic pierced carvings. 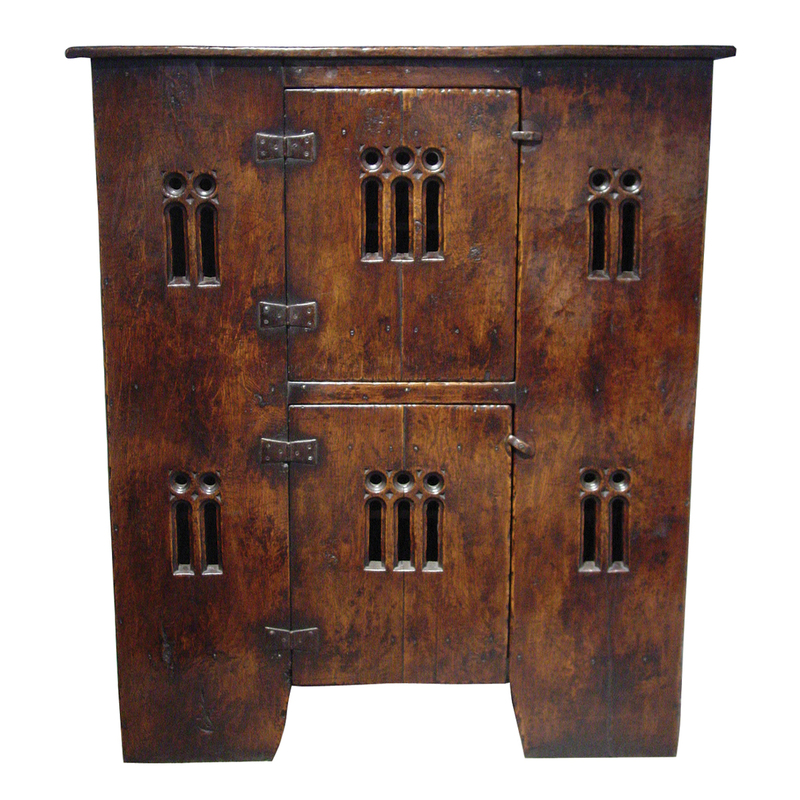 This dole cupboard is hand-made in England by skilled craftsman and is a true work of art. & one of a kind. The item is one of a kind but can be repeated, there will always be slight variations making each piece unique.